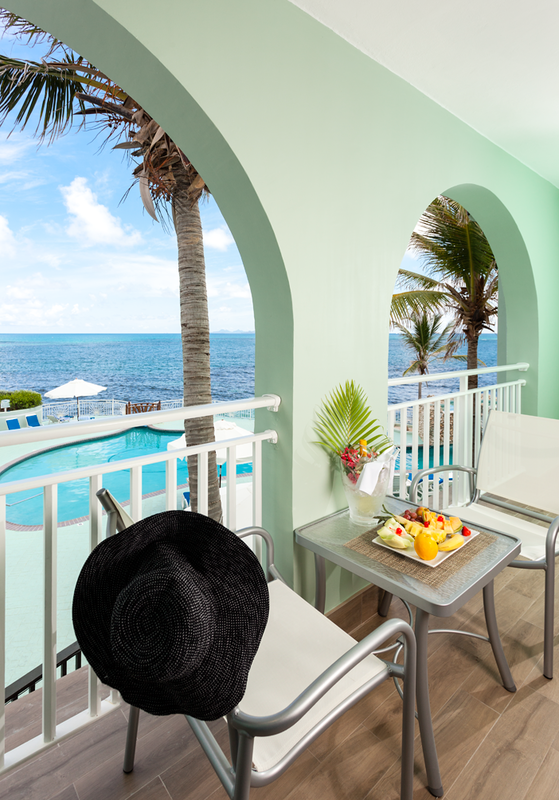 Gallery The view is even better in person! 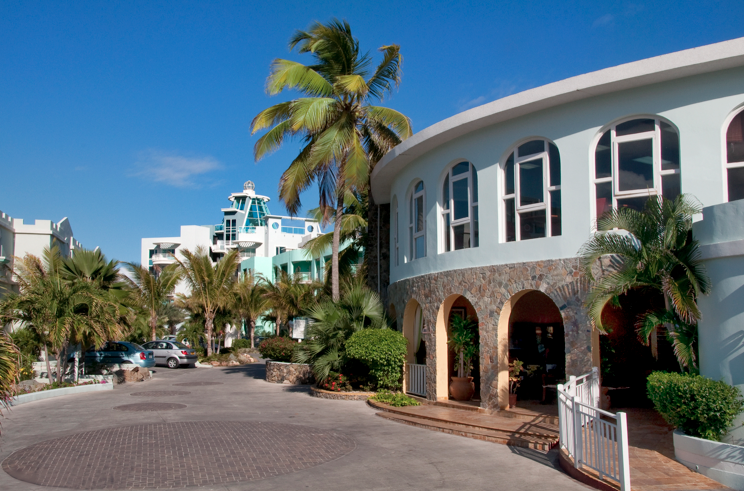 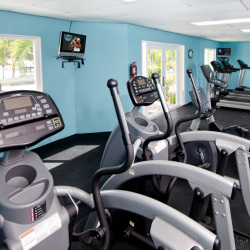 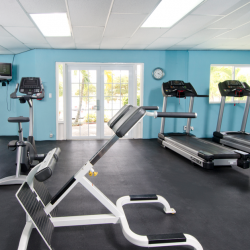 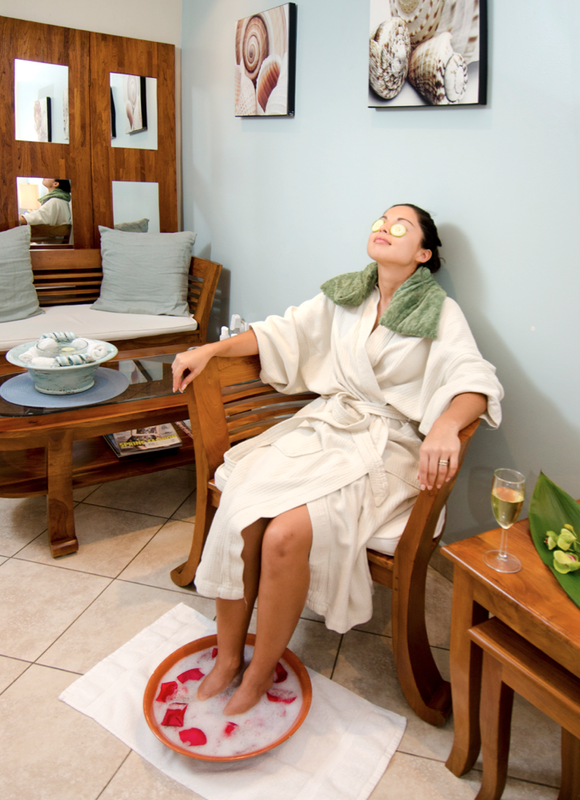 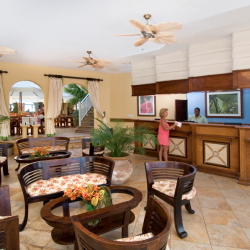 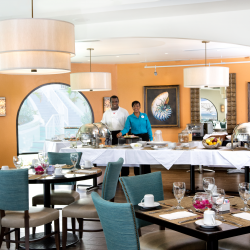 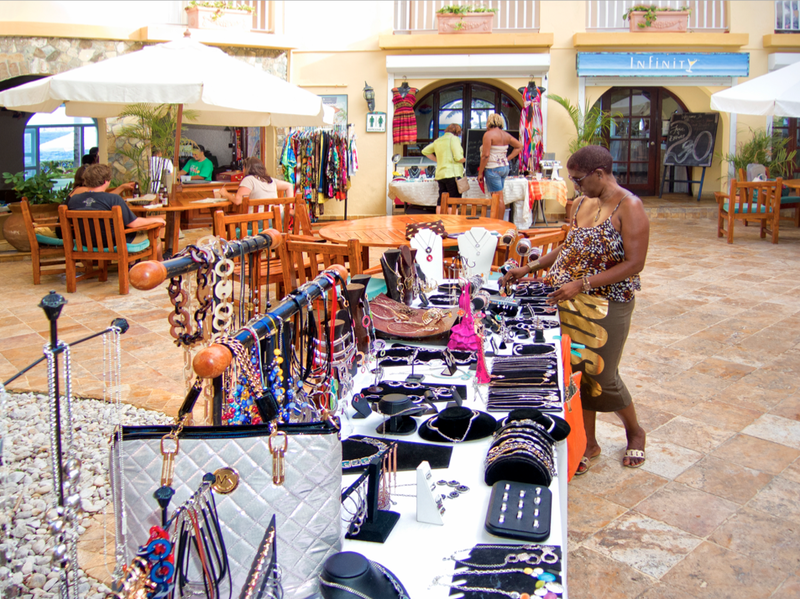 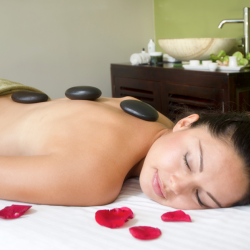 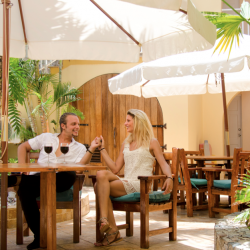 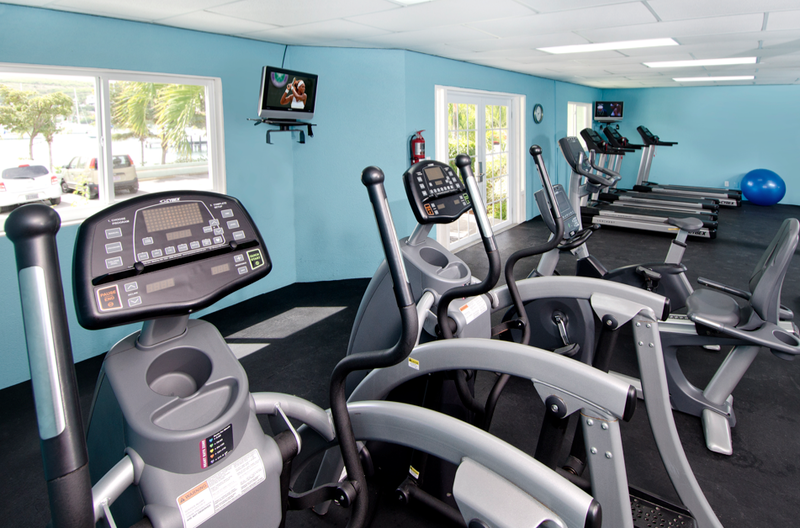 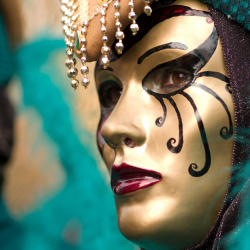 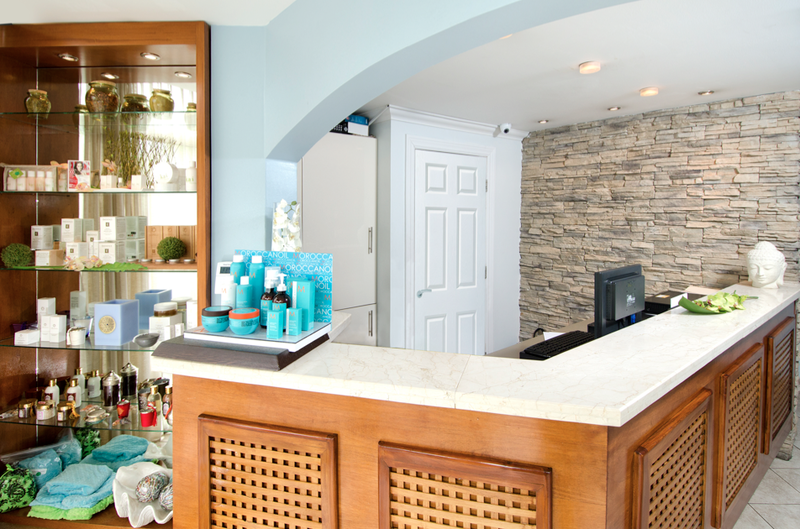 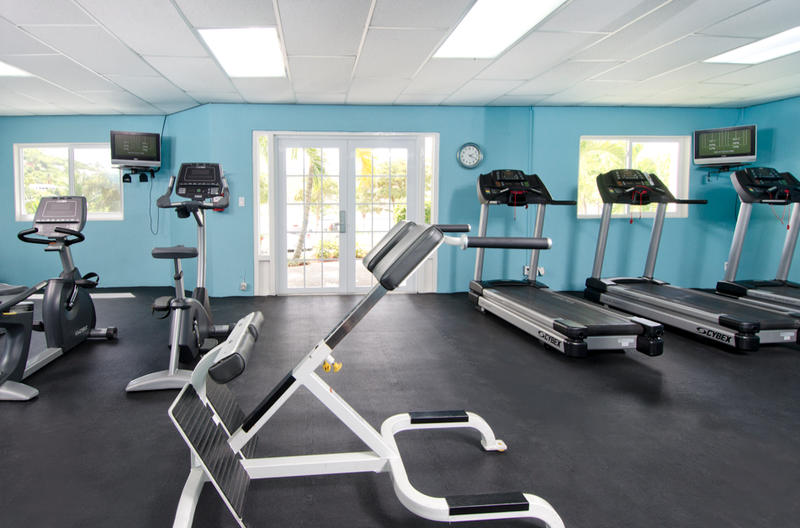 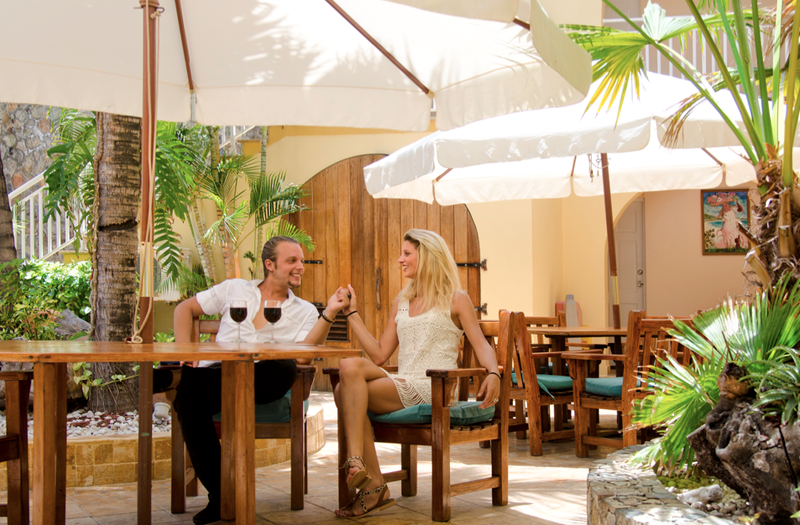 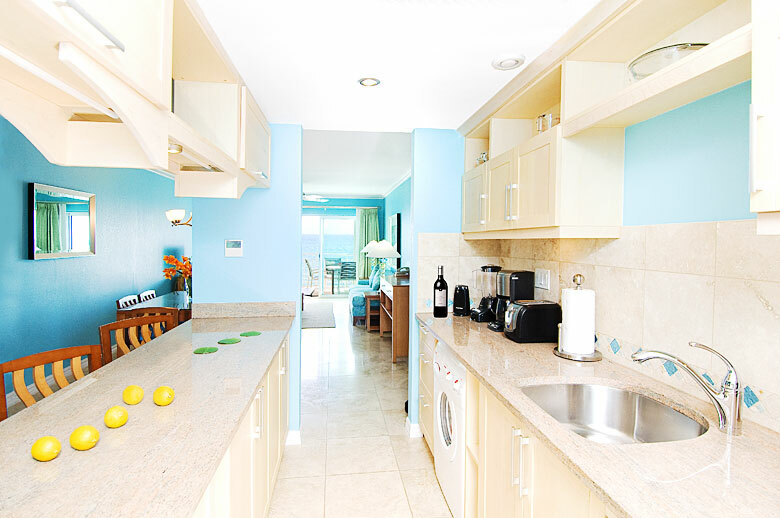 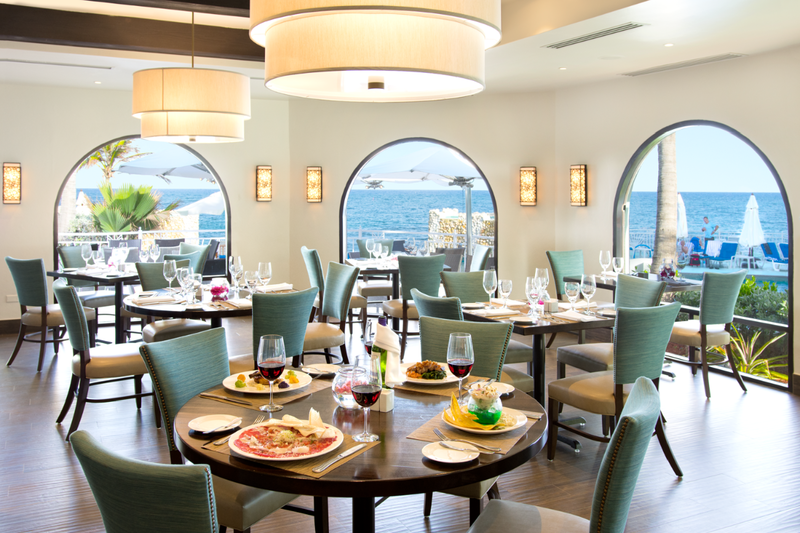 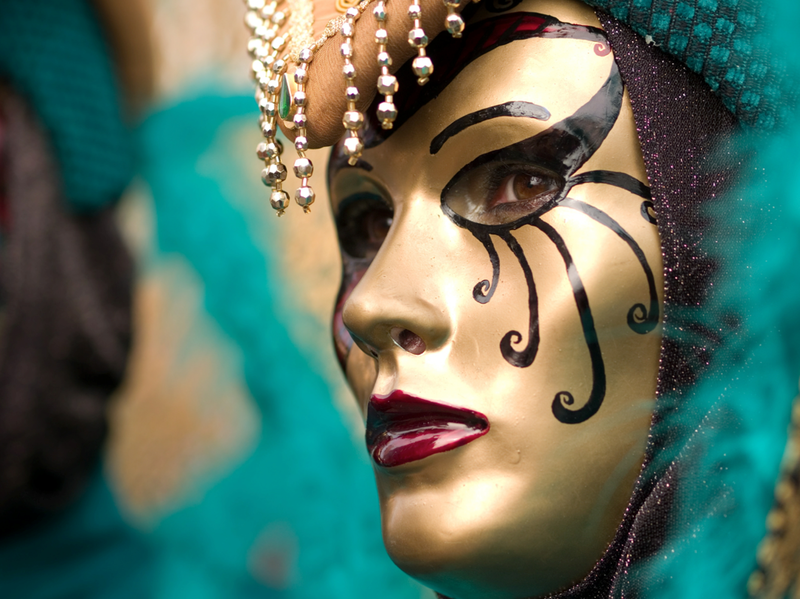 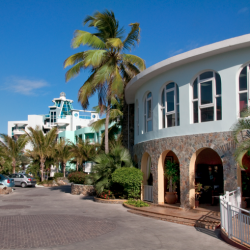 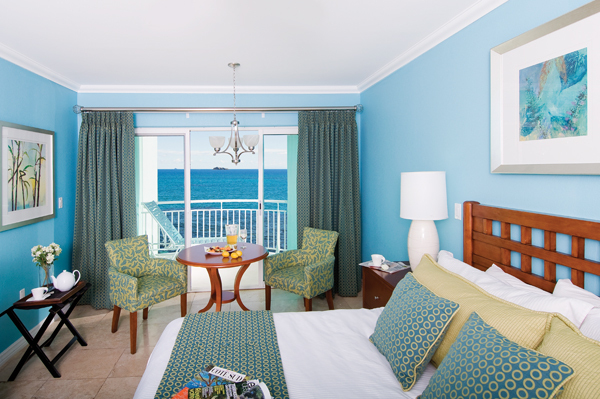 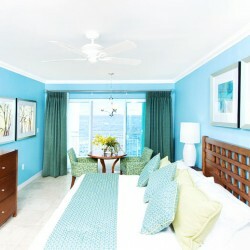 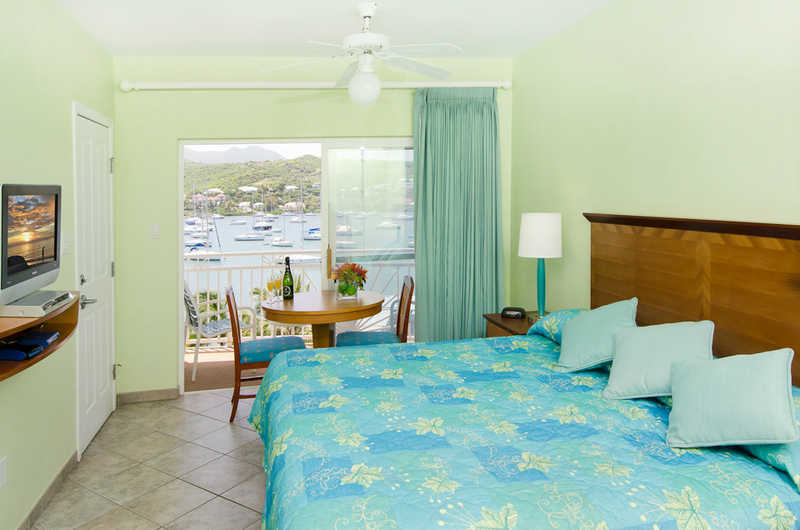 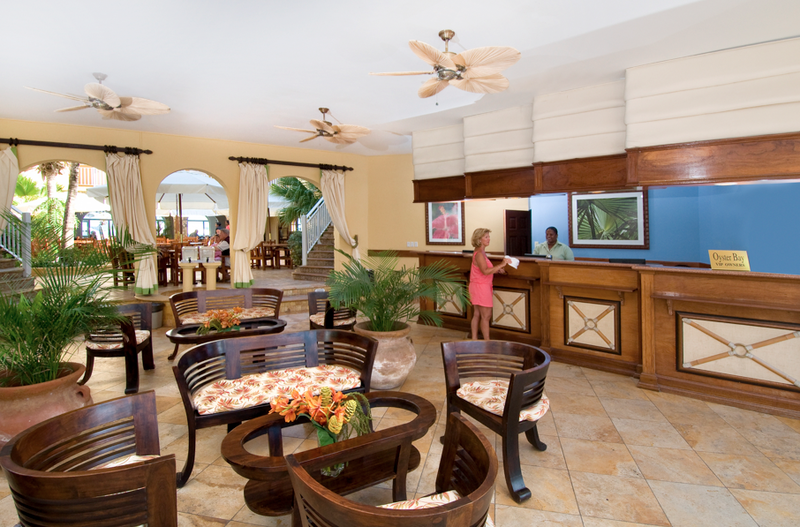 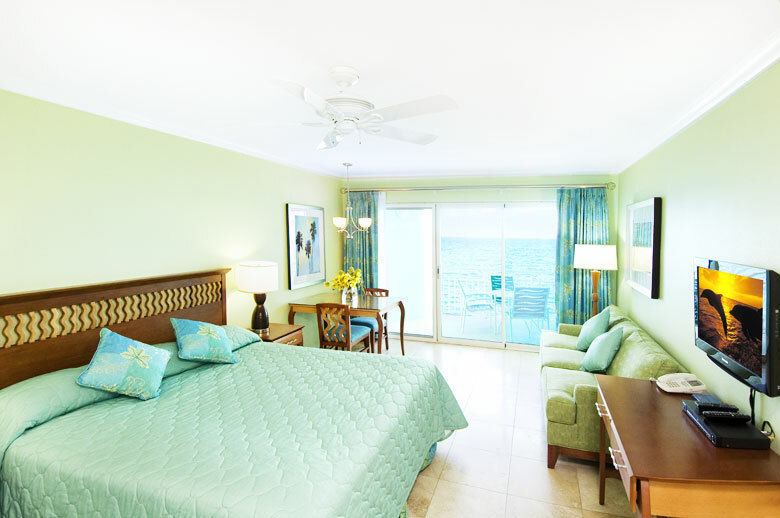 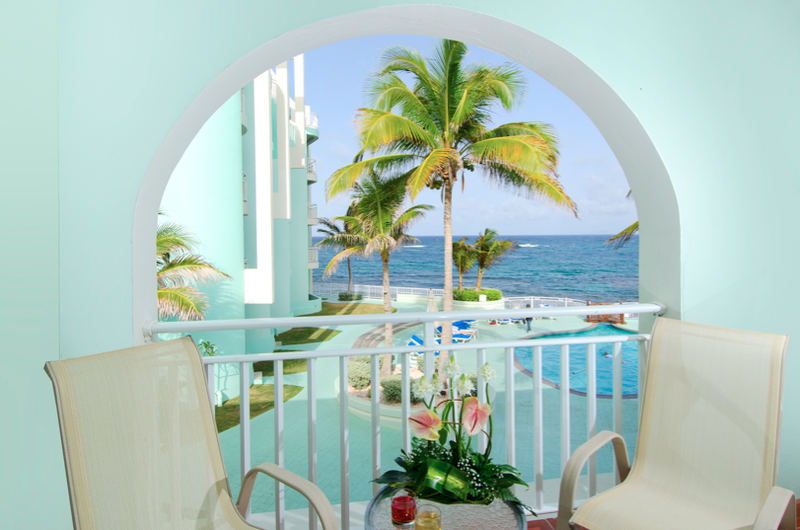 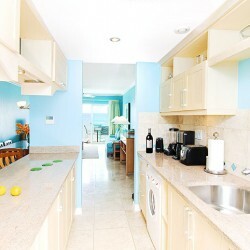 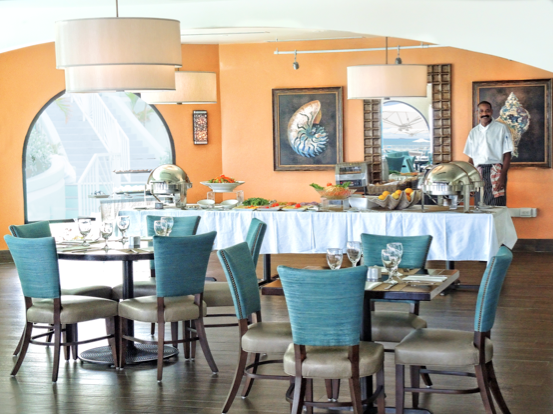 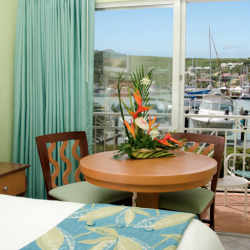 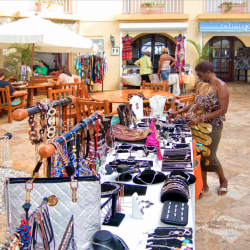 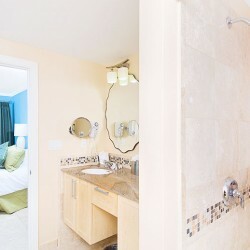 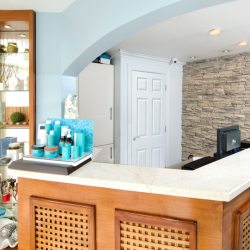 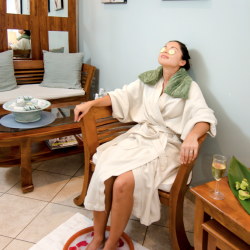 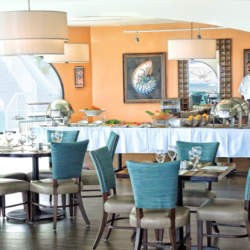 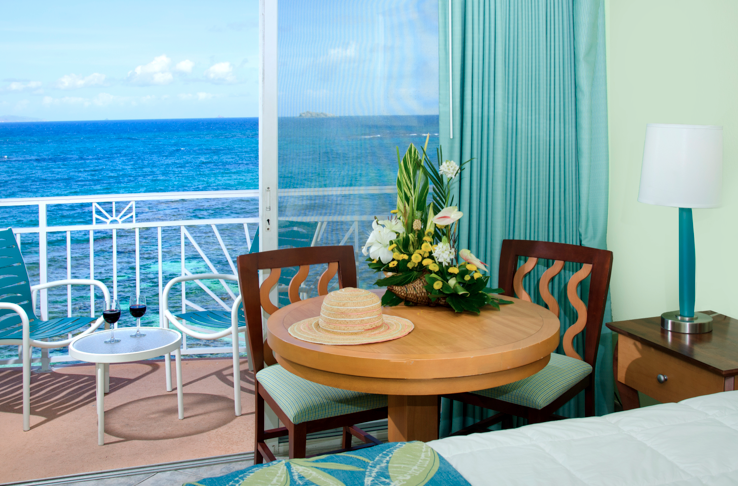 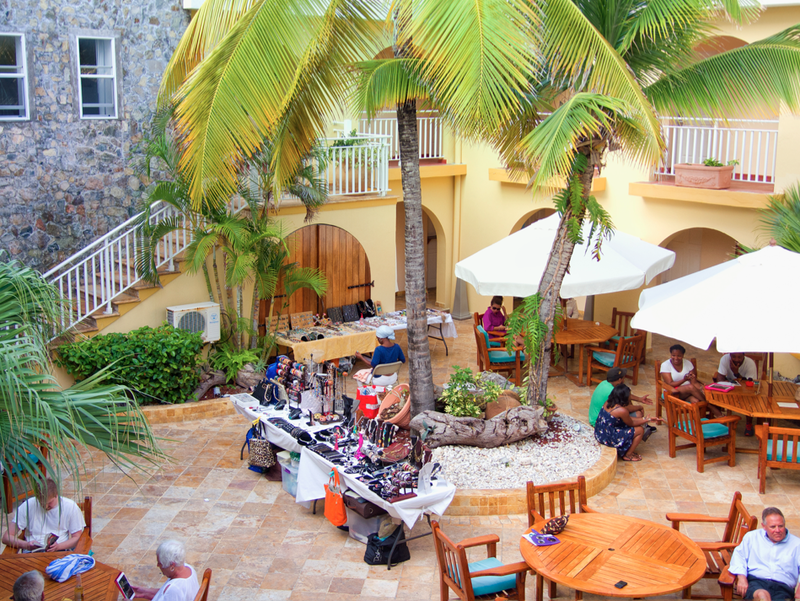 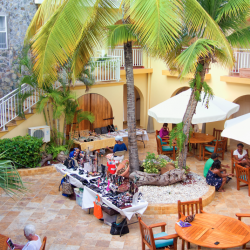 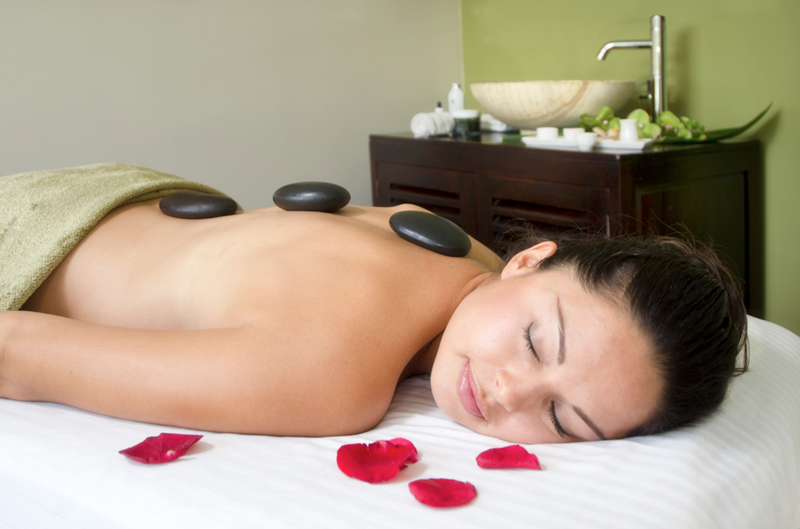 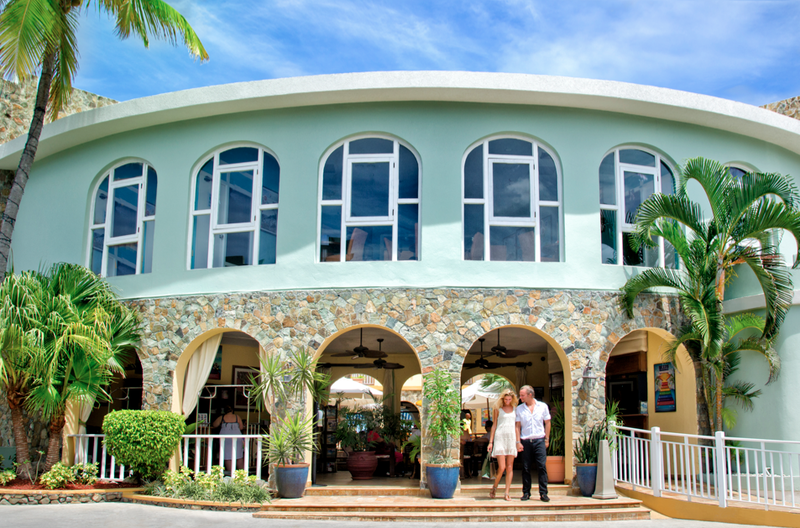 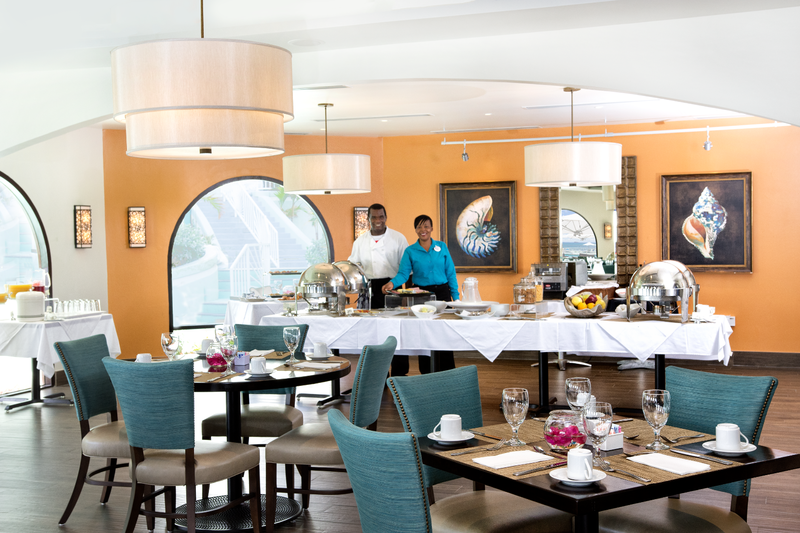 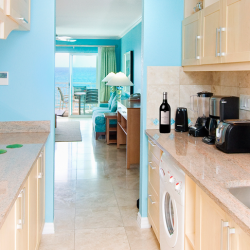 When you visit Oyster Bay Beach Resort, you’re visiting recognized excellence in value, beauty and luxury. 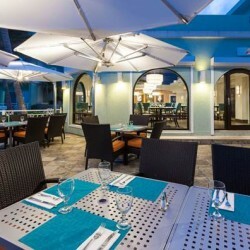 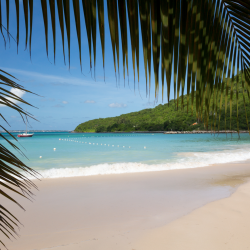 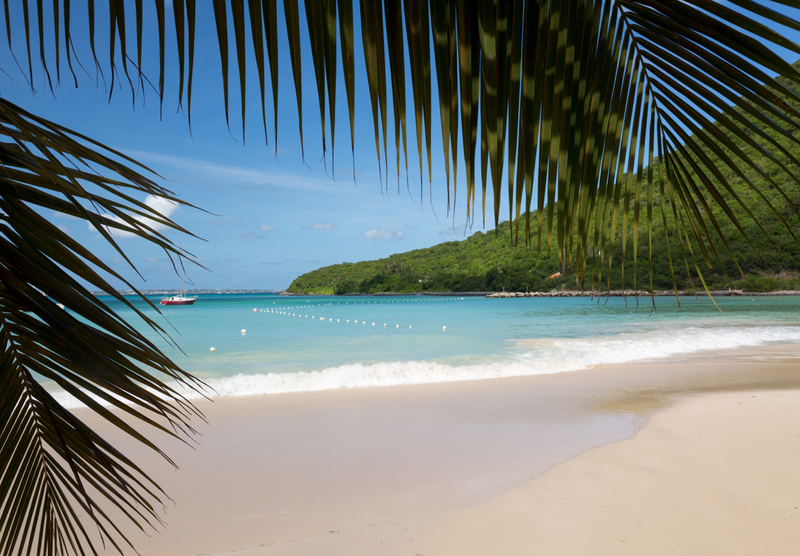 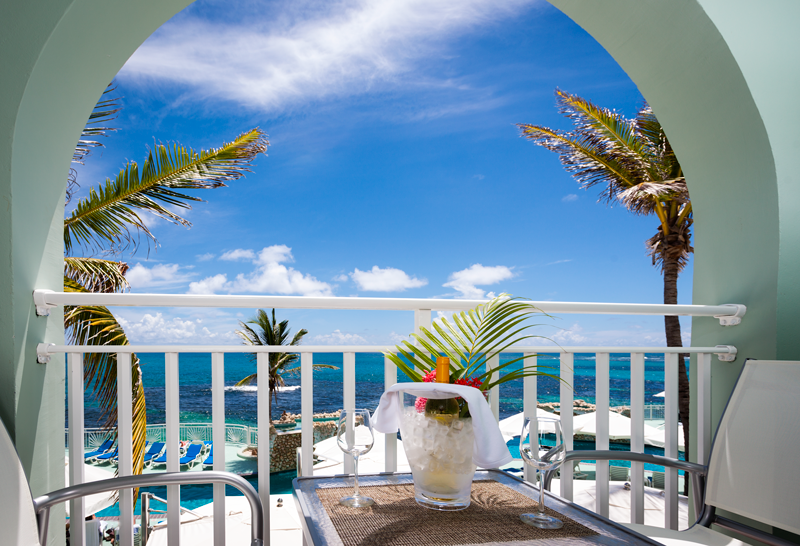 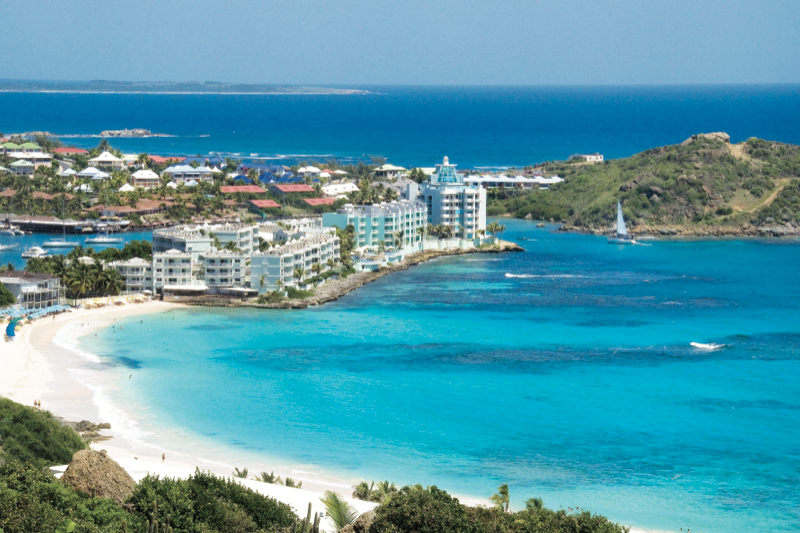 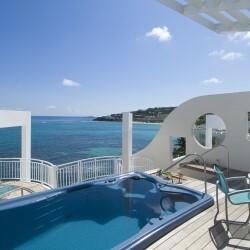 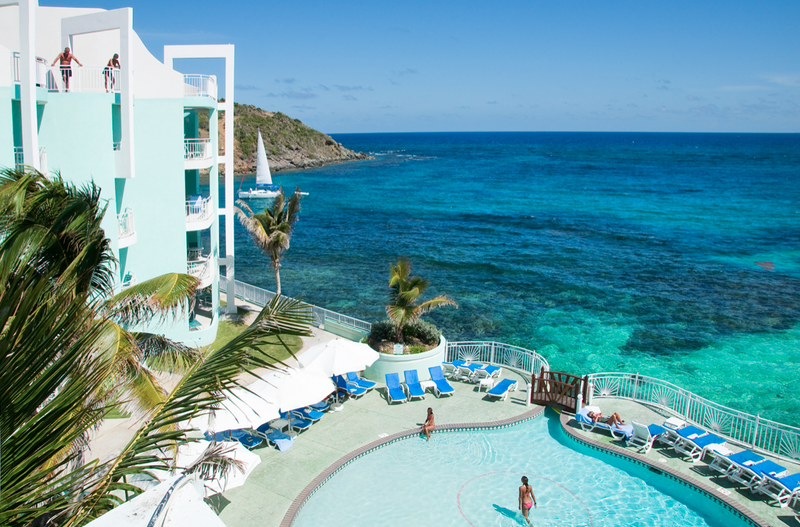 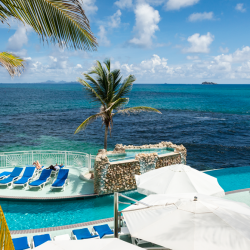 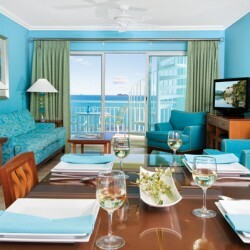 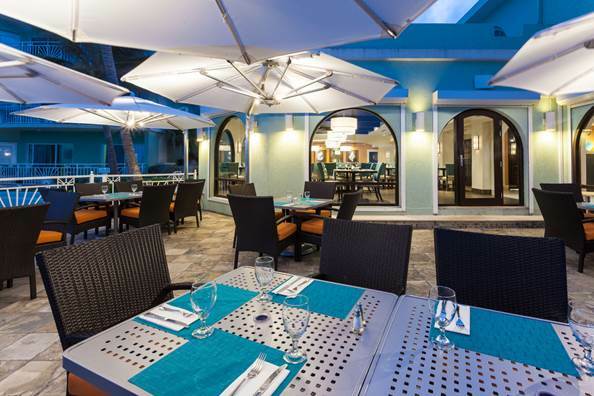 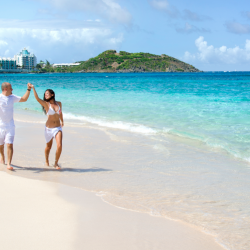 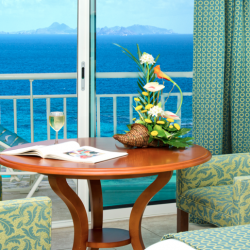 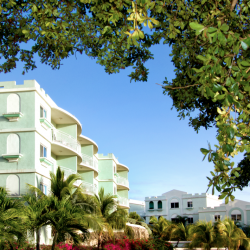 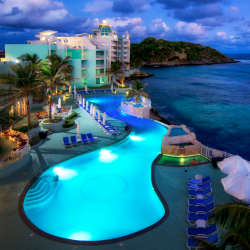 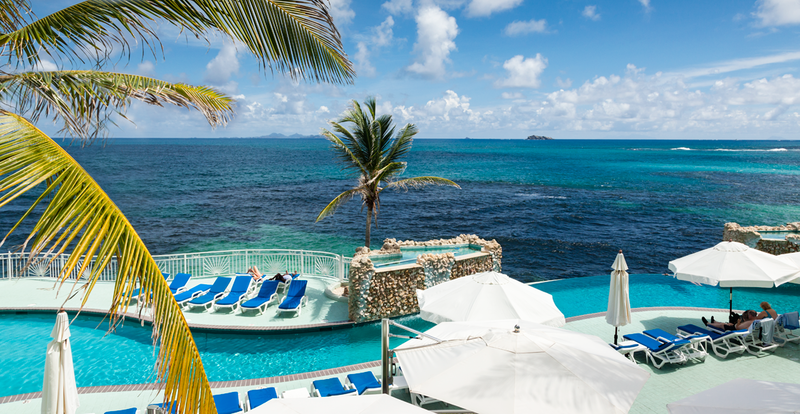 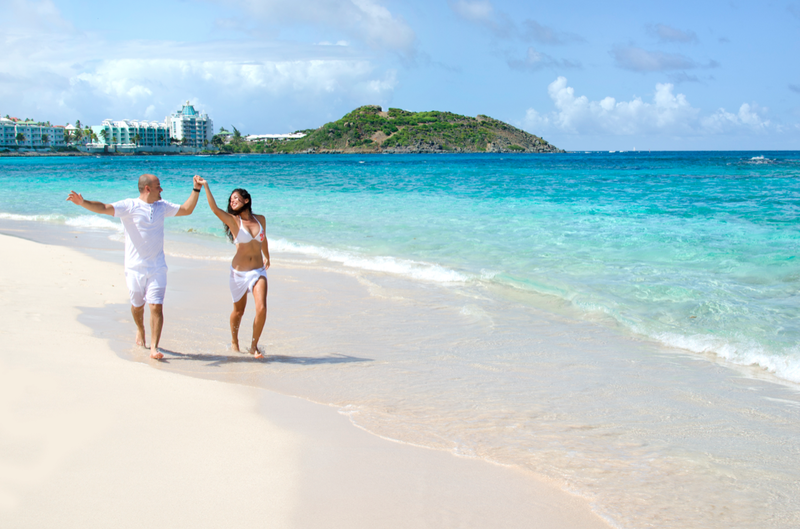 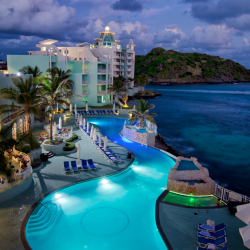 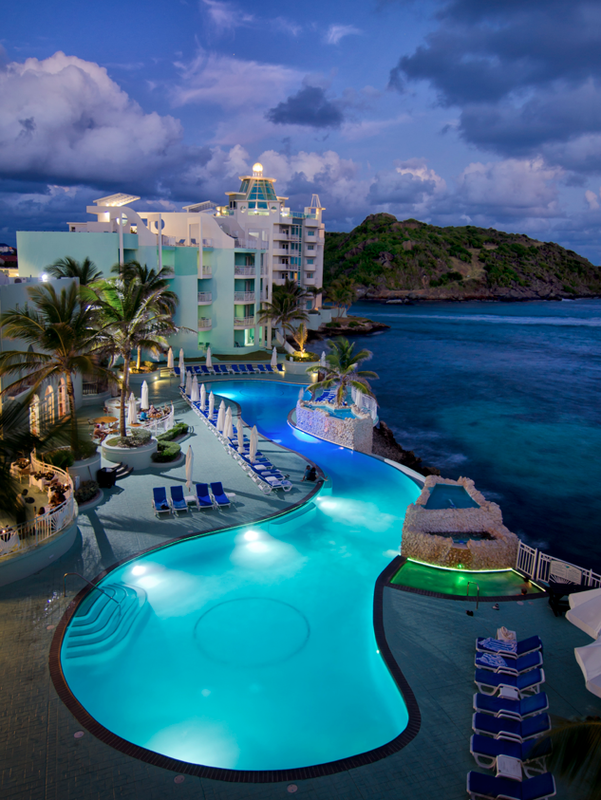 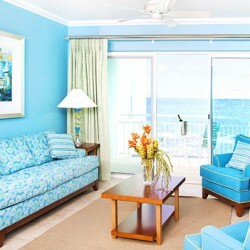 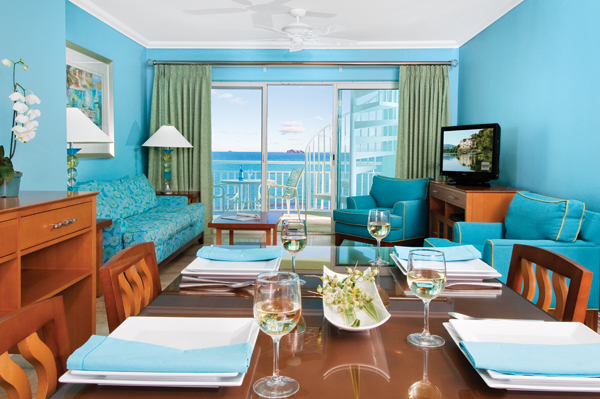 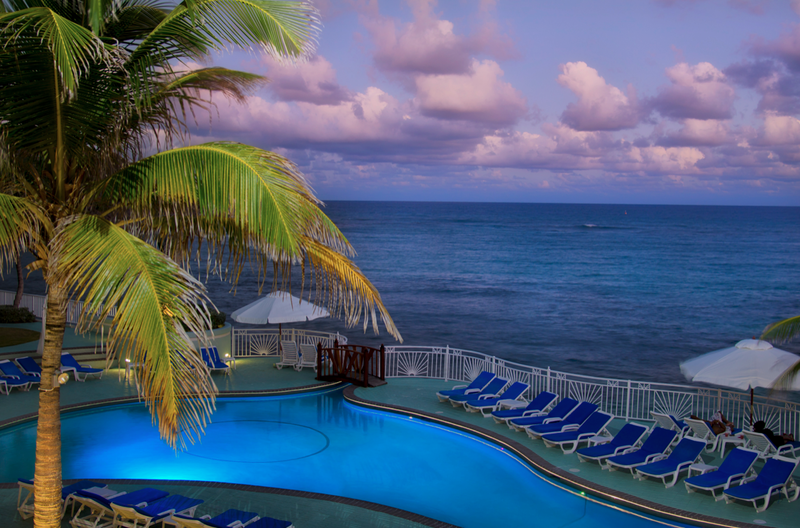 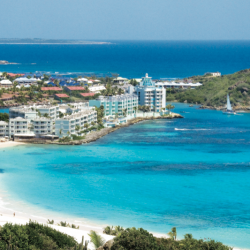 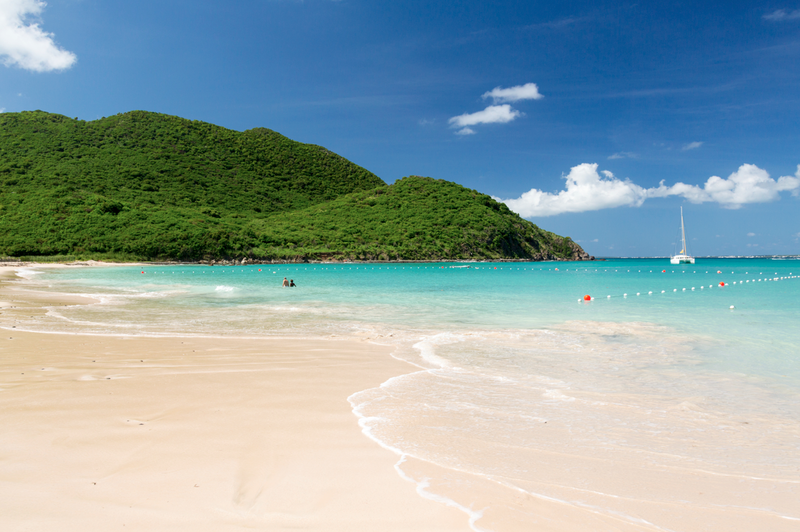 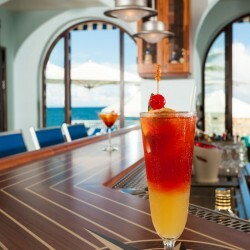 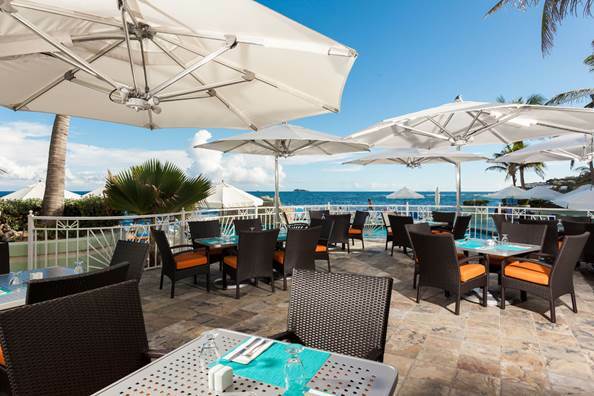 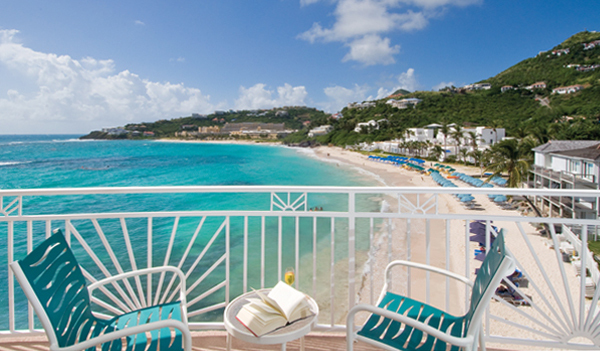 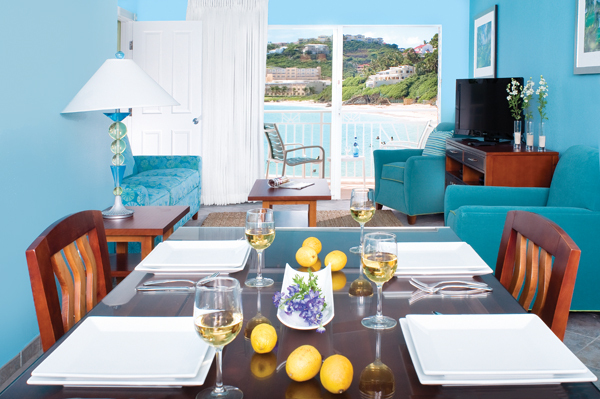 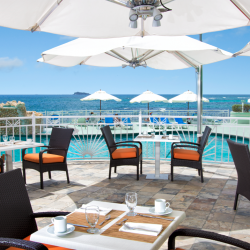 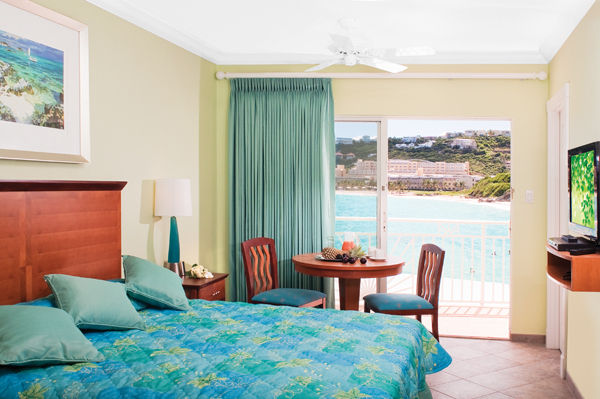 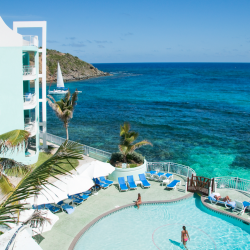 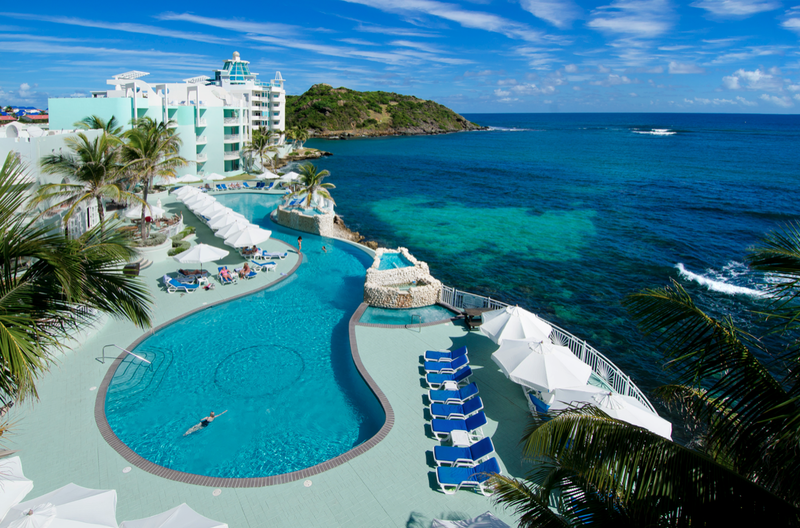 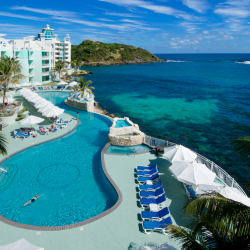 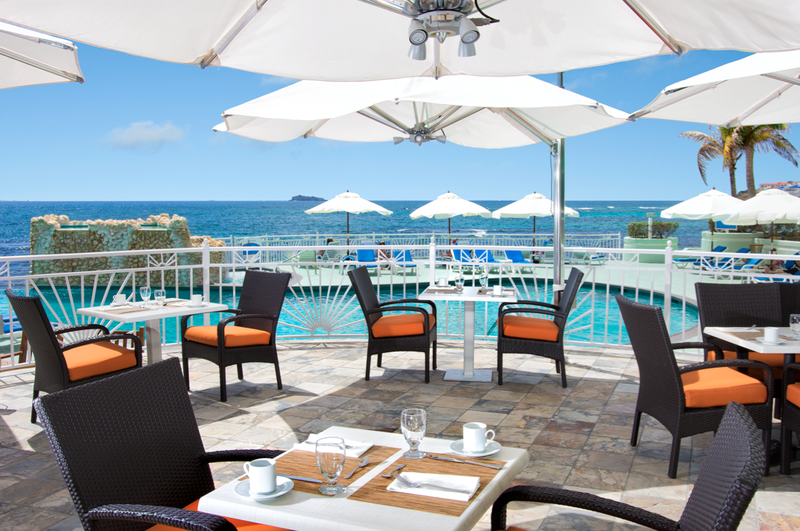 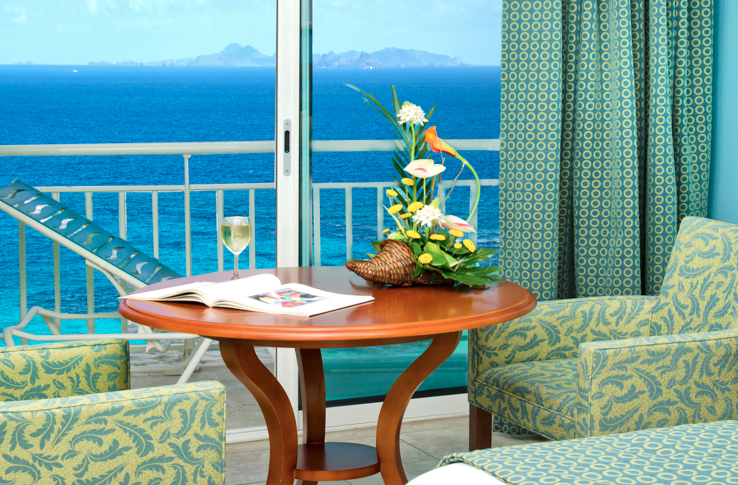 Travel + Leisure Magazine calls Oyster Bay Beach Resort one of the top five resorts in the Caribbean for value. 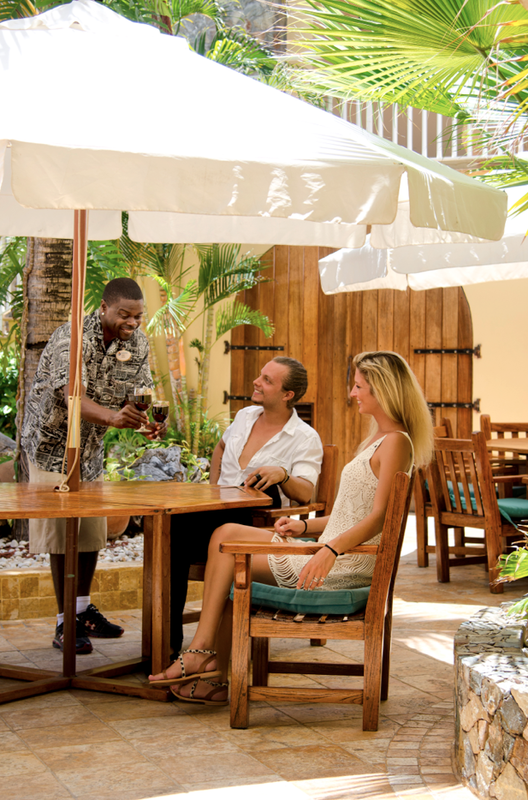 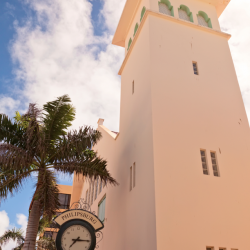 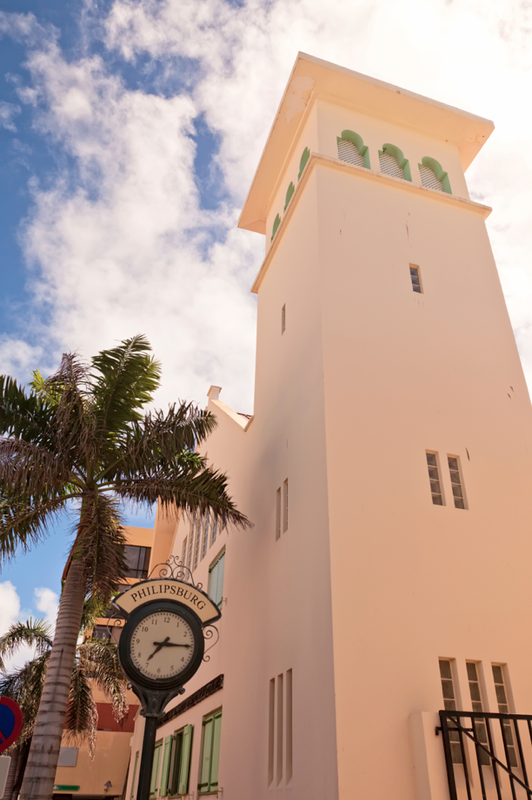 For several consecutive years, our Resort has received the “TripAdvisor® Certificate of Excellence” award for consistently achieving outstanding traveler reviews. 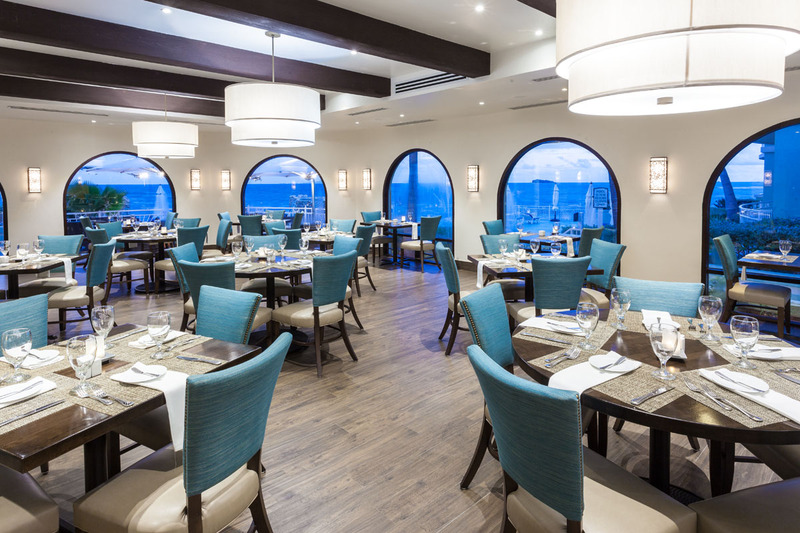 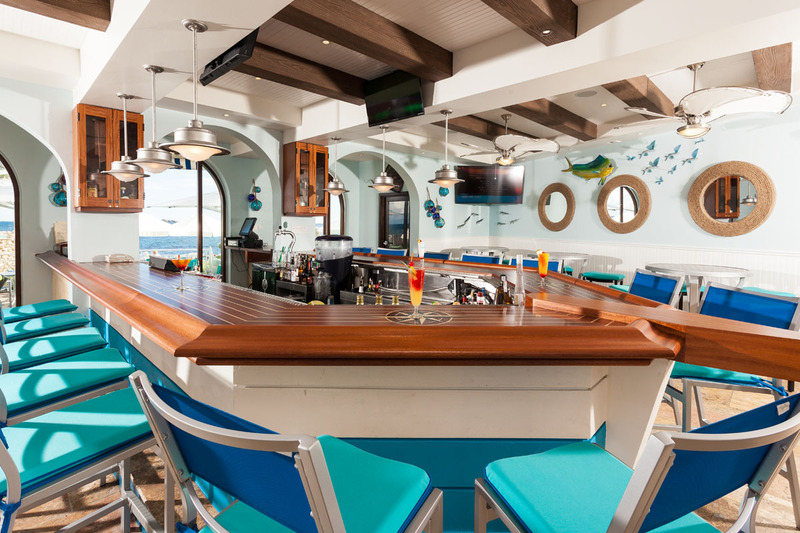 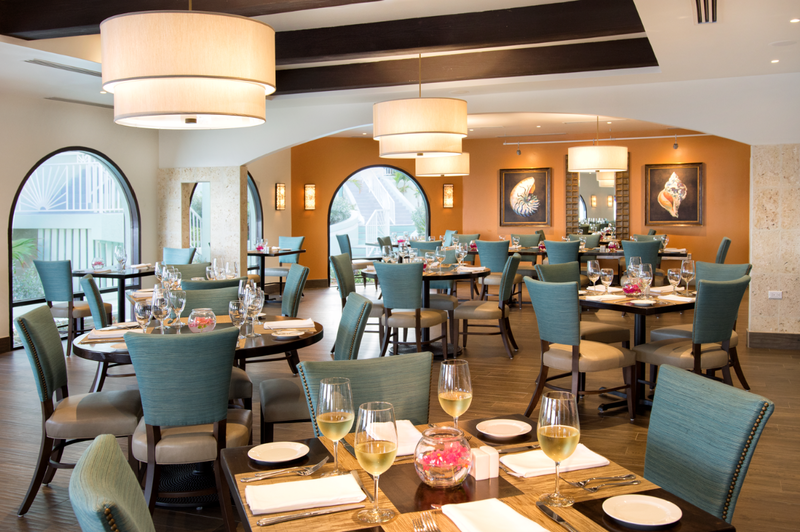 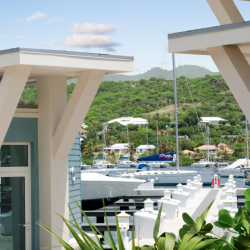 Plus, we were awarded the Silver ARDA award for Architecture and Design by the American Resort Development Association for the design of the Mainsail Pavilion and the Lighthouse at our Resort. 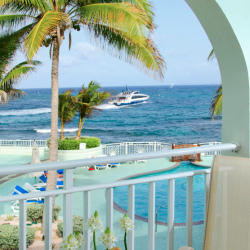 Perched on four acres of coral reef peninsula, overlooking the Atlantic Ocean, is a lifetime of vacation memories awaiting you. 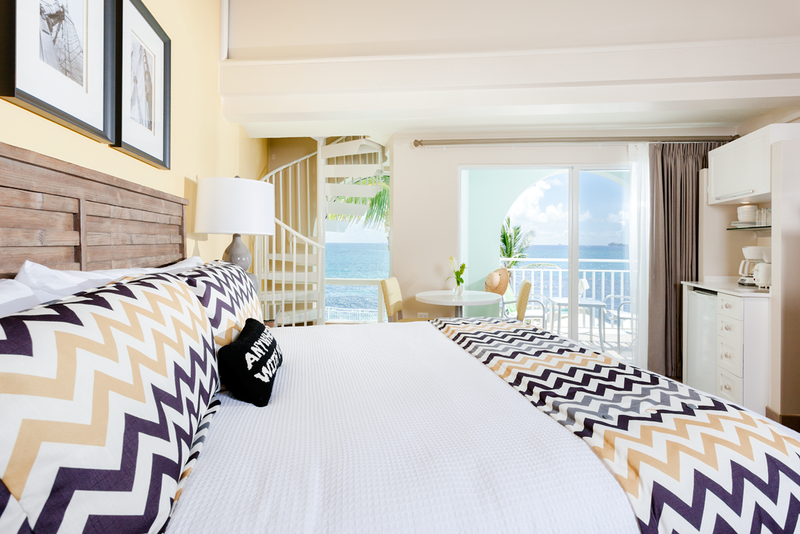 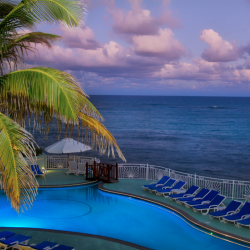 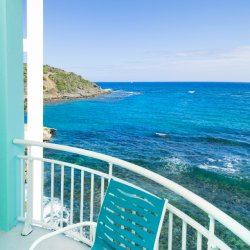 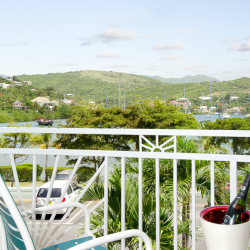 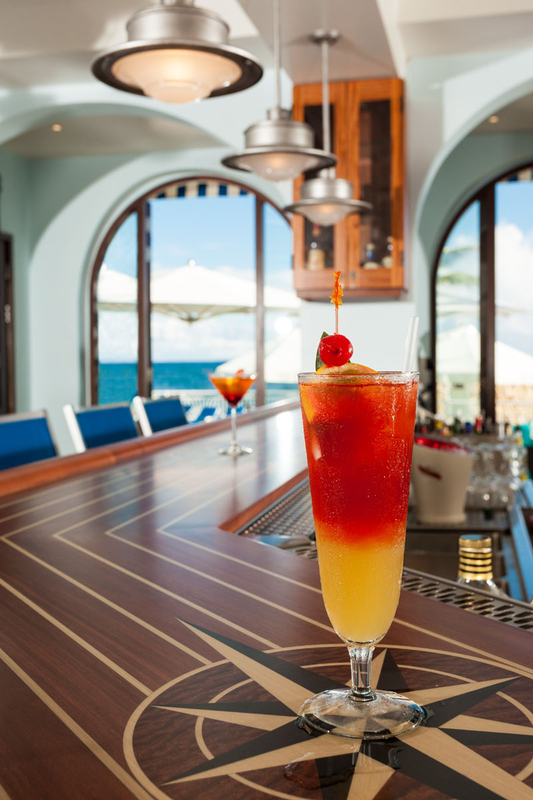 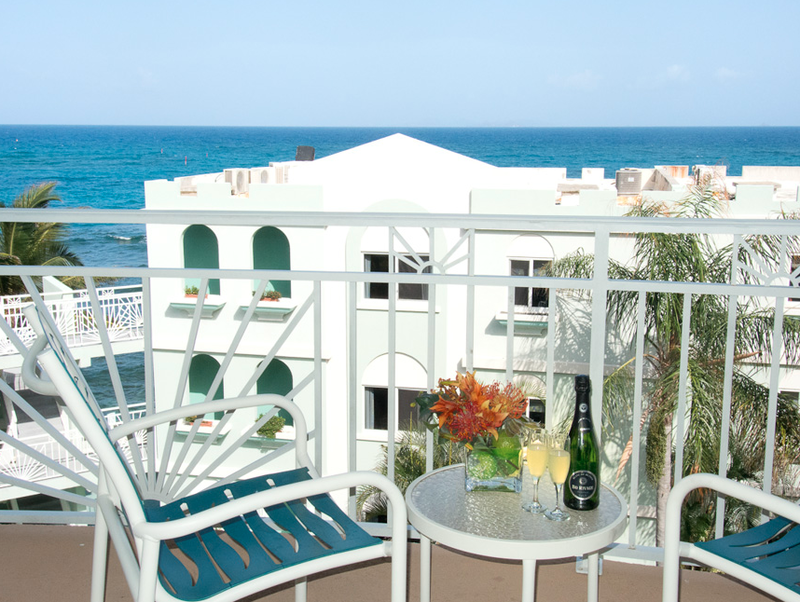 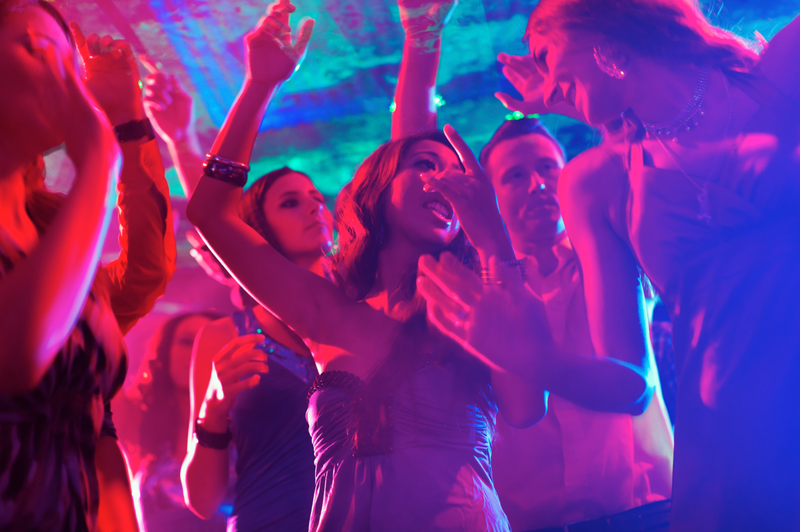 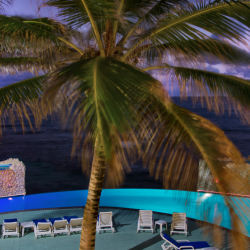 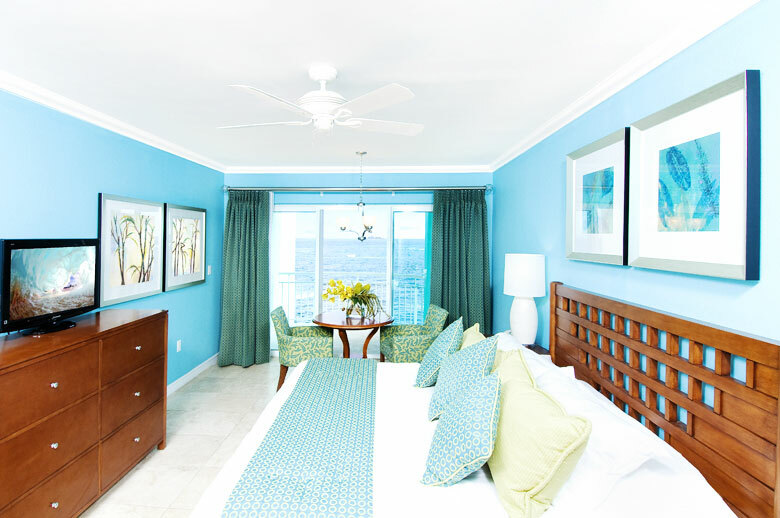 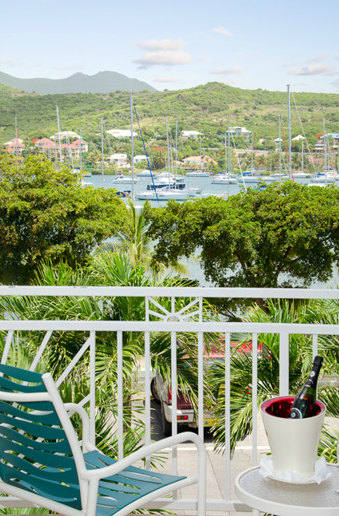 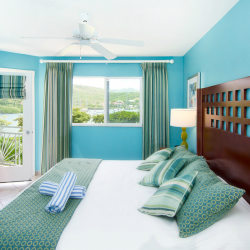 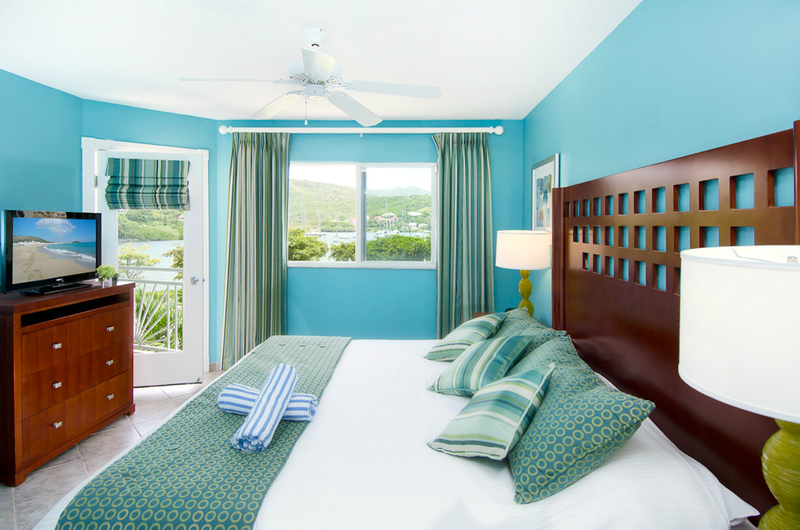 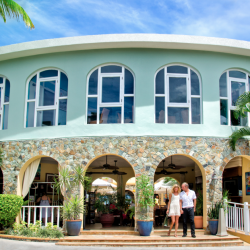 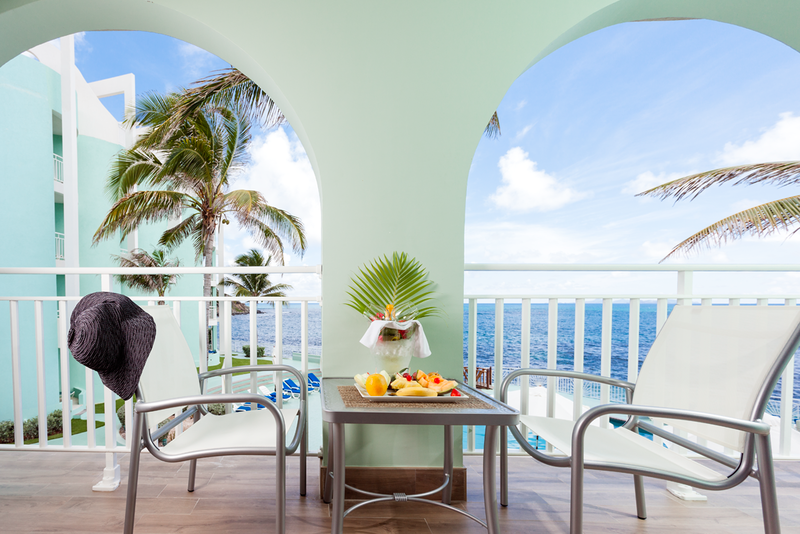 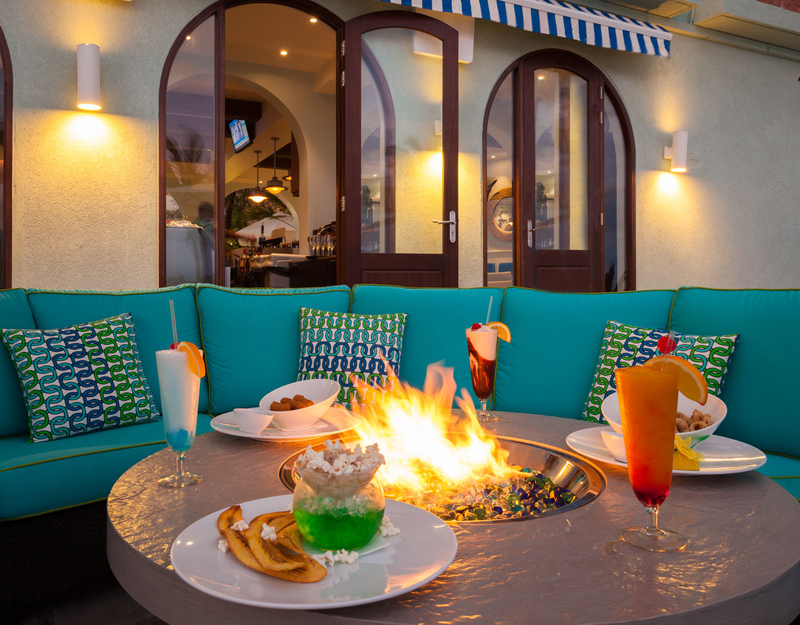 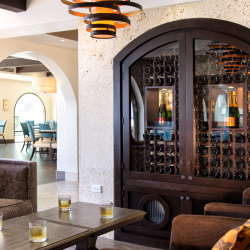 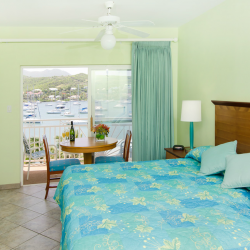 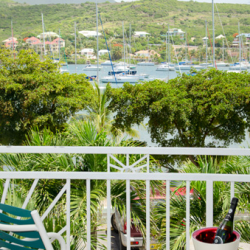 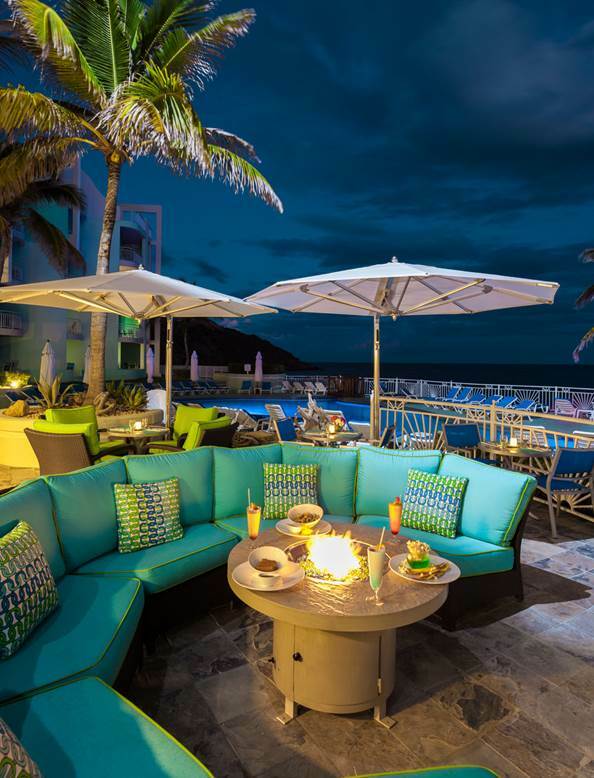 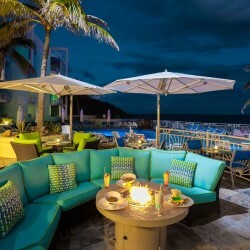 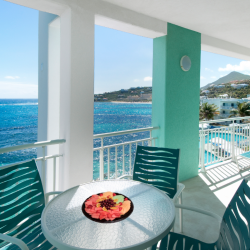 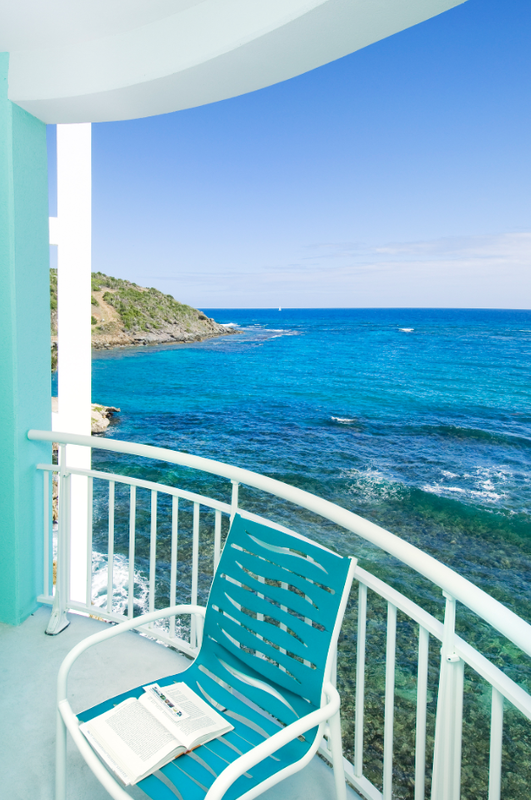 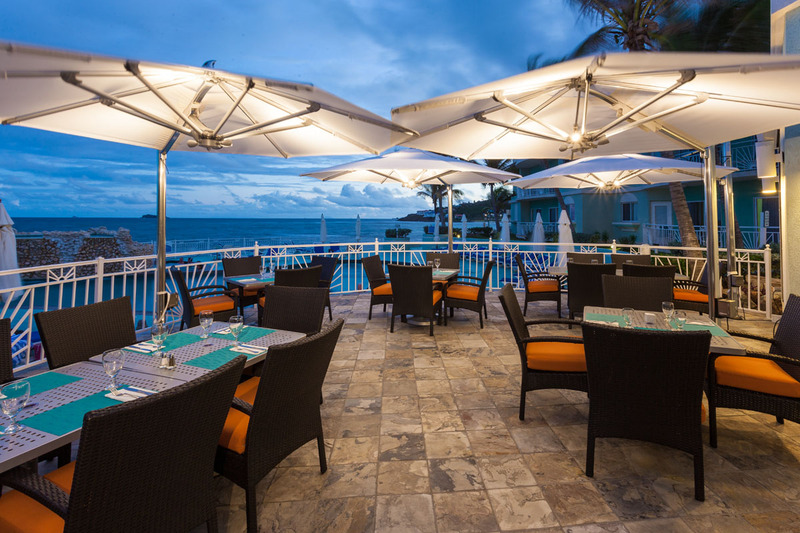 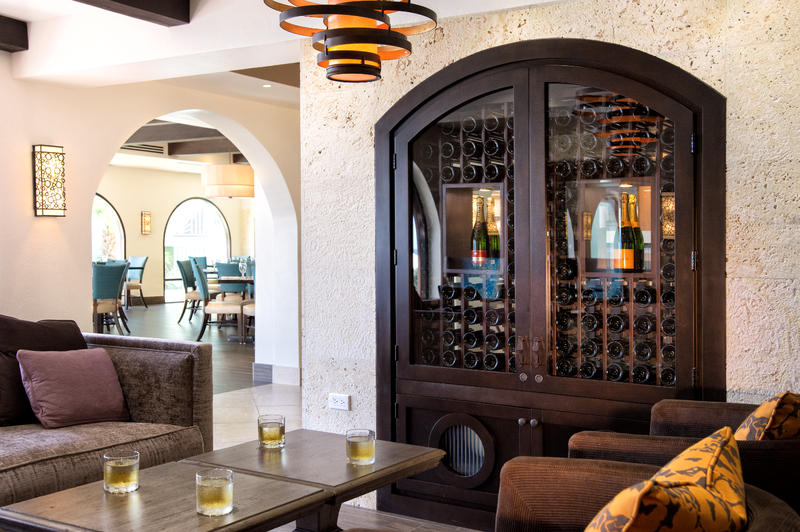 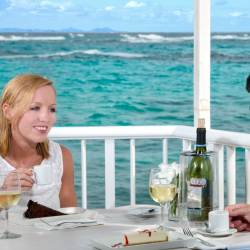 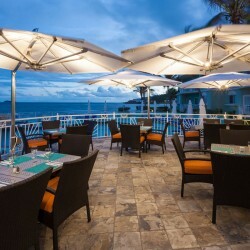 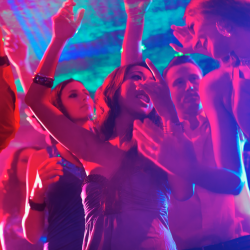 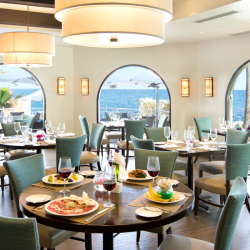 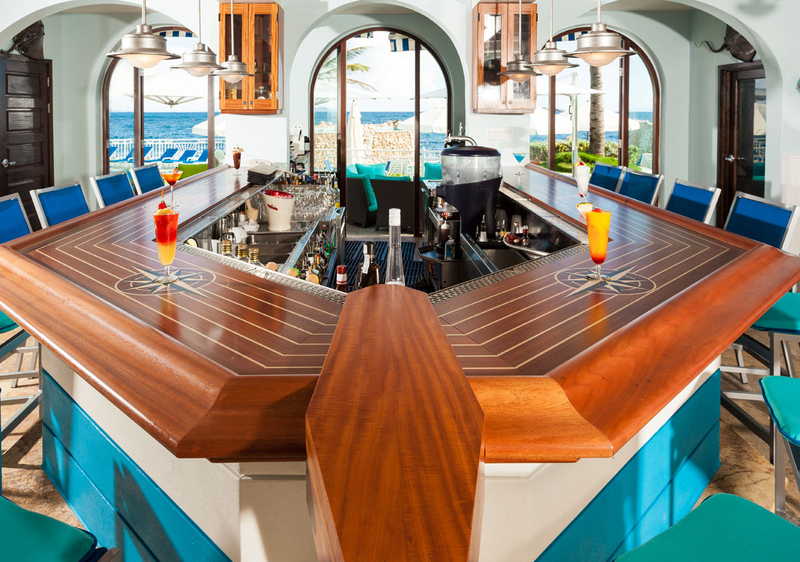 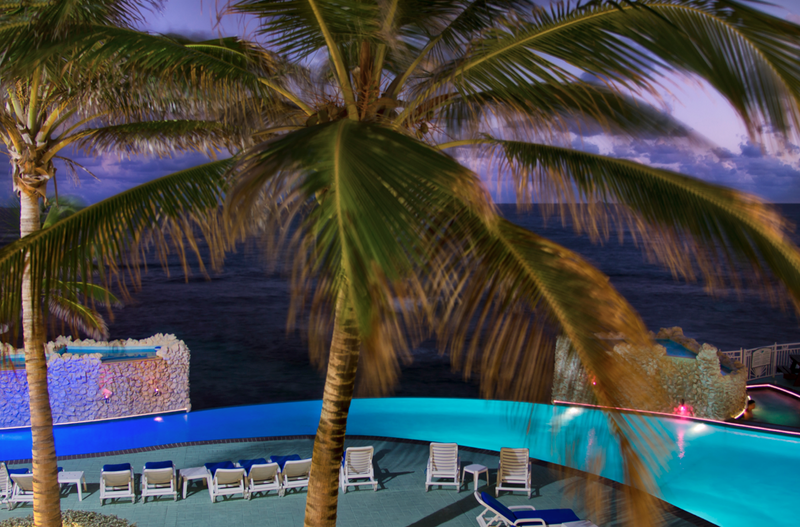 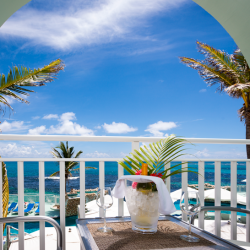 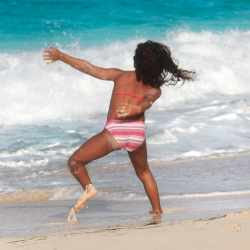 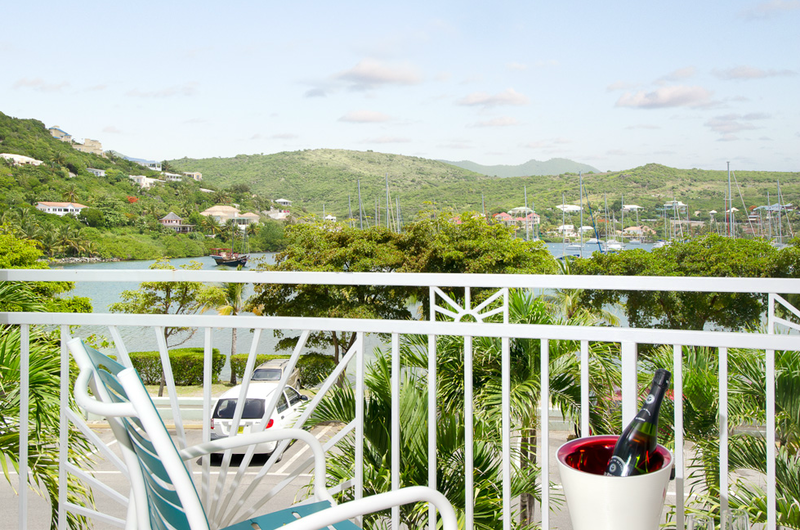 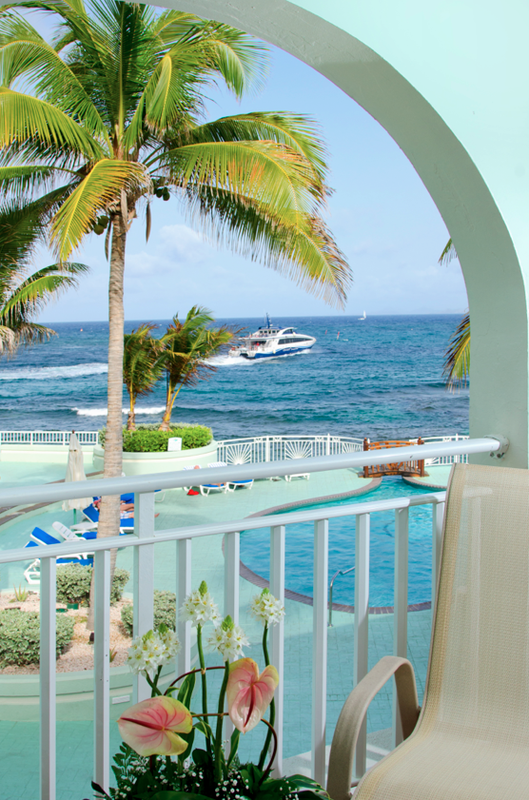 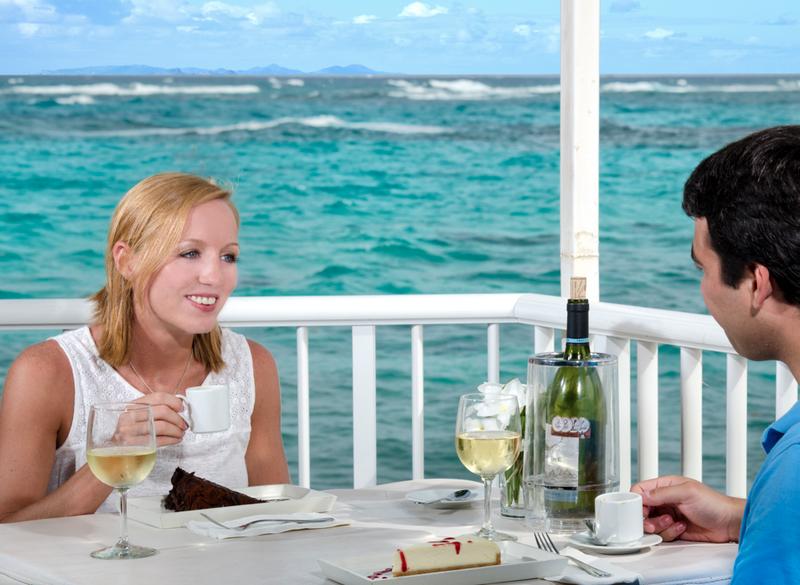 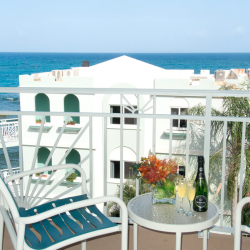 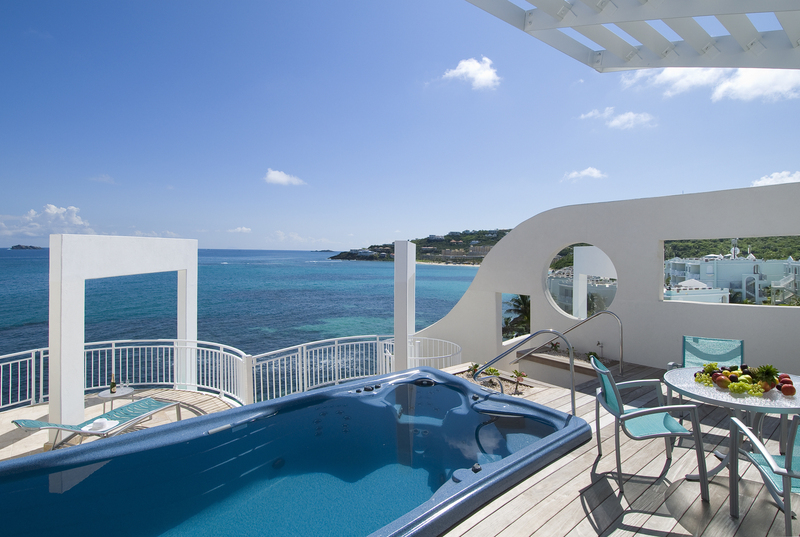 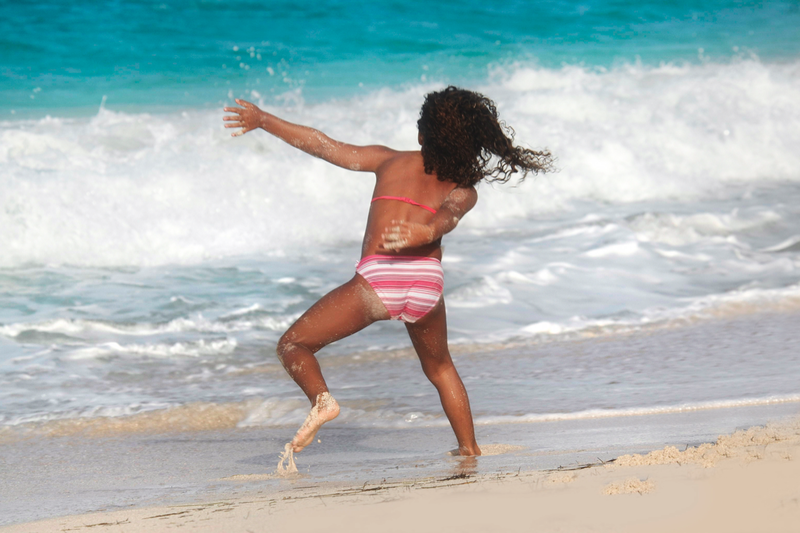 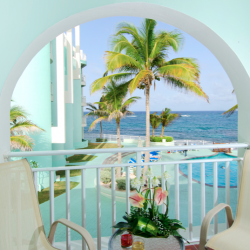 Oyster Bay Beach Resort is the perfect blend of paradise living – breathtaking ocean views, sandy beaches, comfortable rooms, private yachts, on-site dining and the Caribbean nightlife. 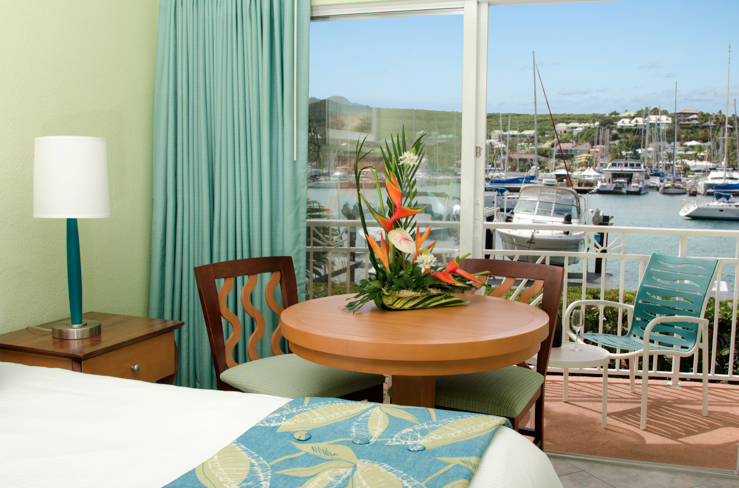 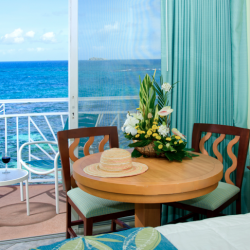 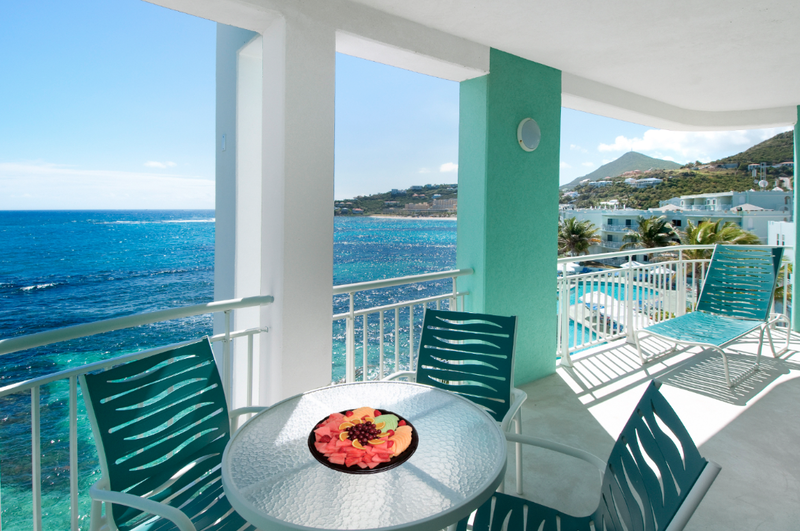 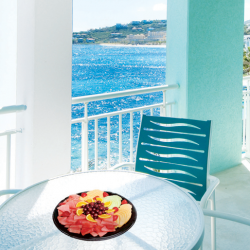 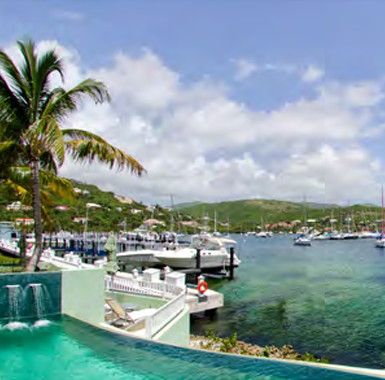 This secluded, serene corner of blissfulness features 181 rooms, 24 condos and 38 marina slips. 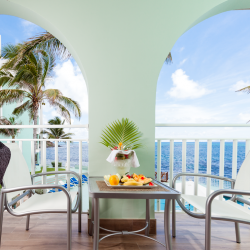 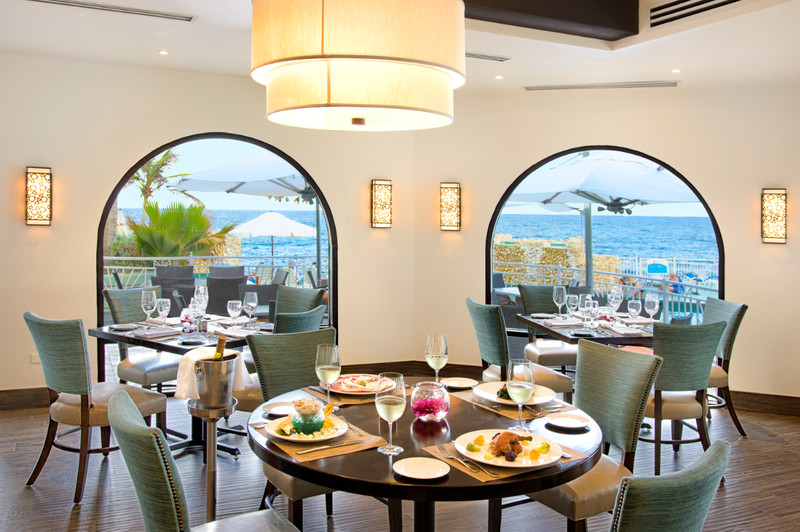 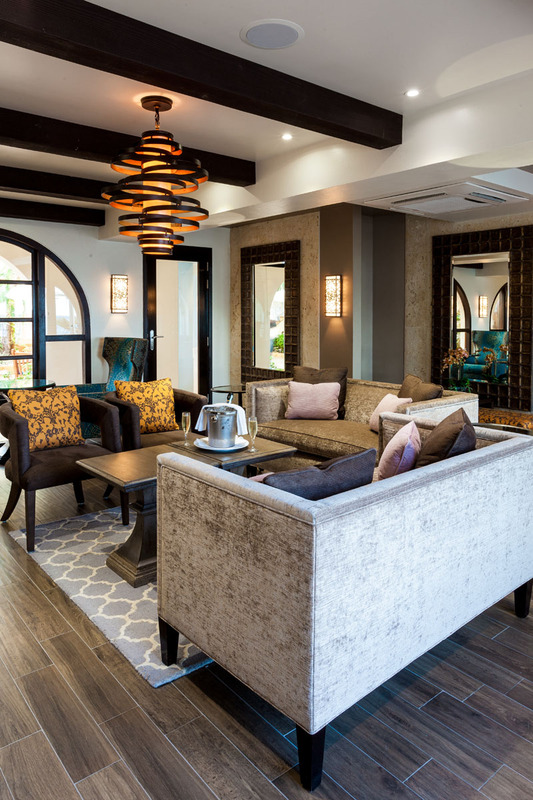 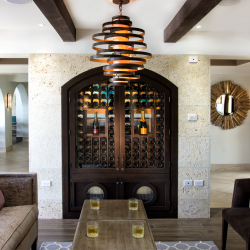 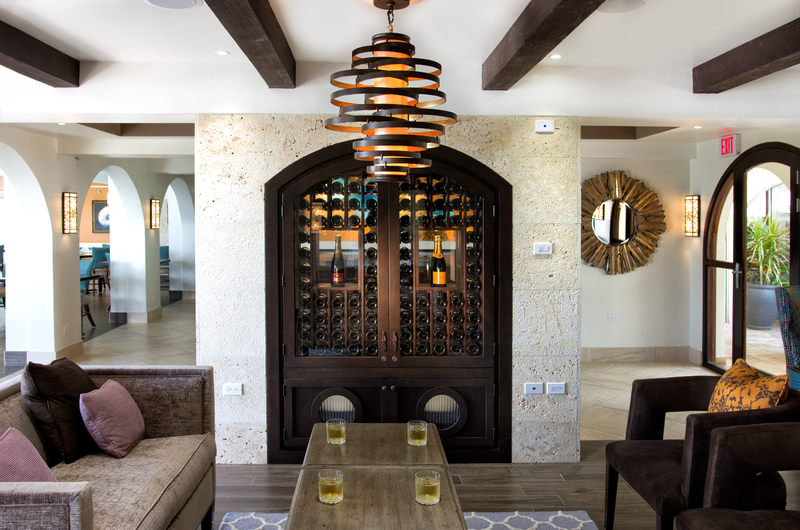 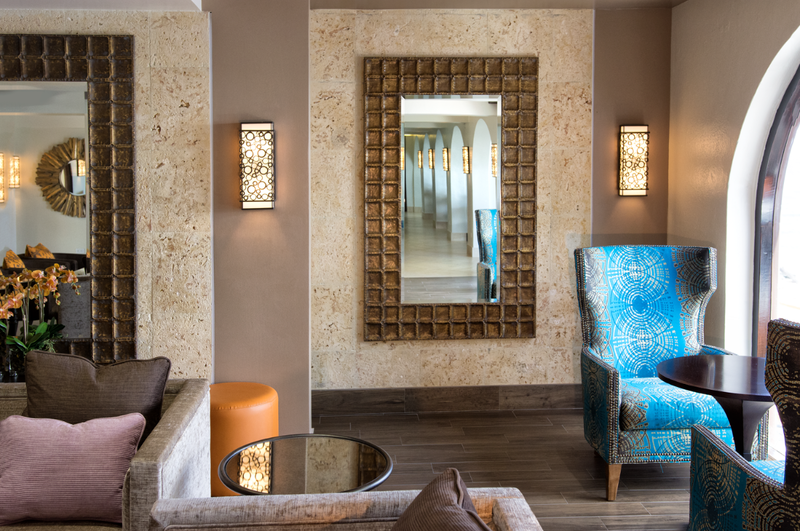 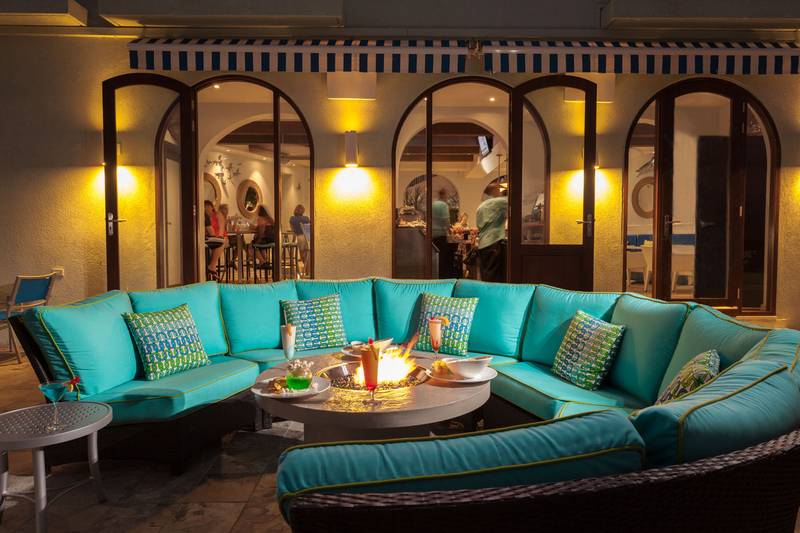 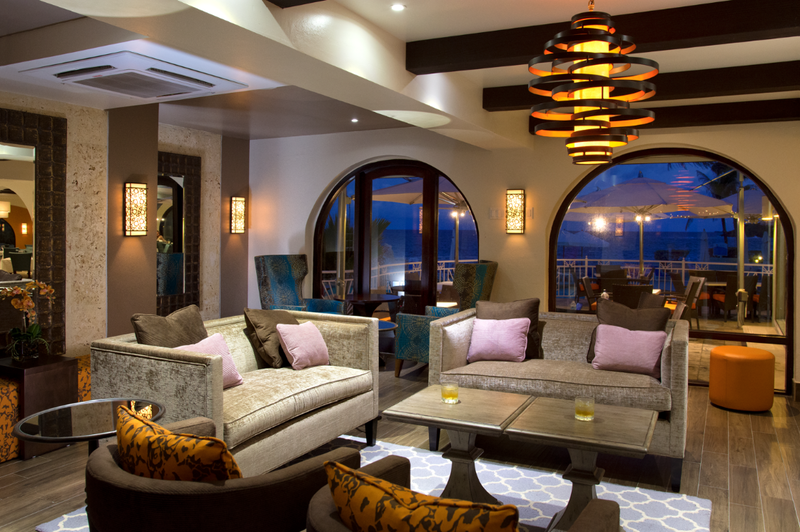 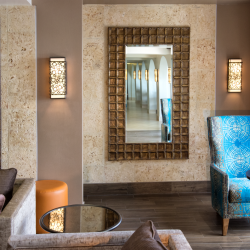 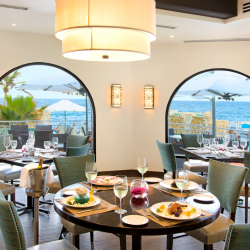 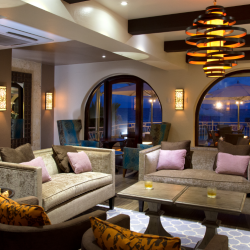 The Resort has invested millions to expand and renovate the property in a stylish and modern way, being careful to preserve a Caribbean feel. 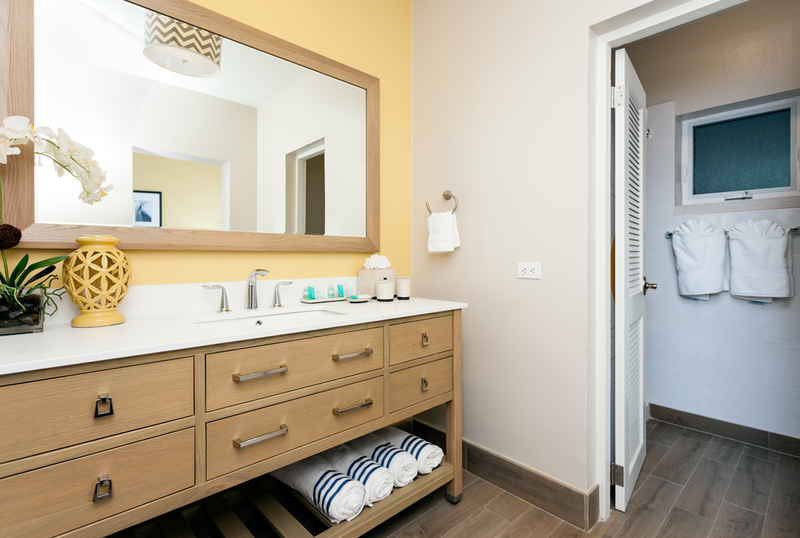 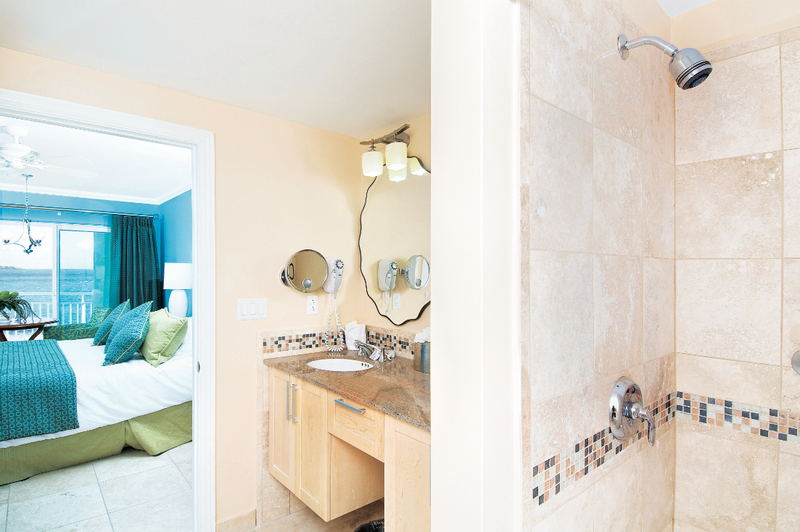 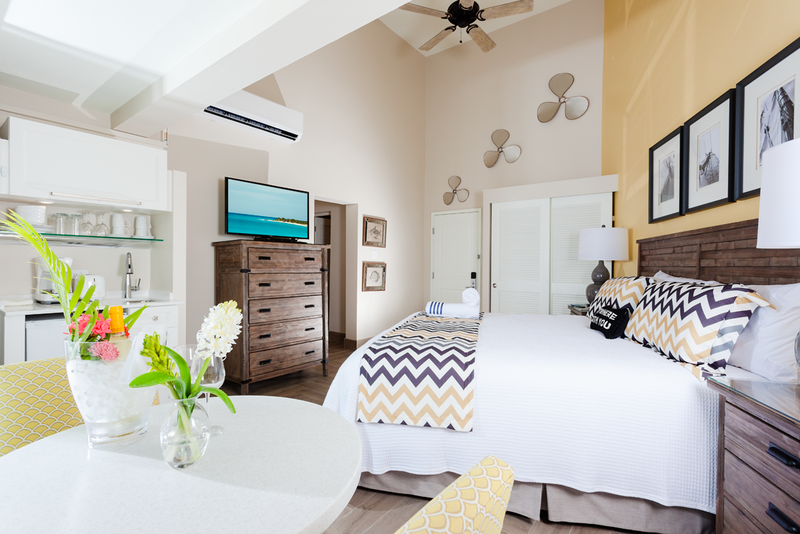 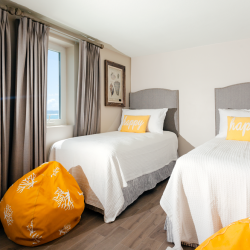 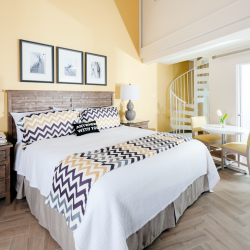 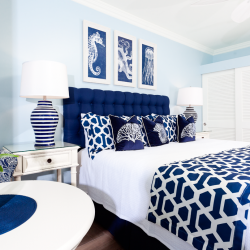 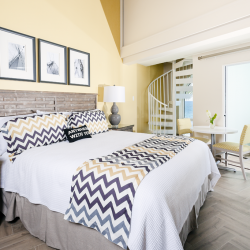 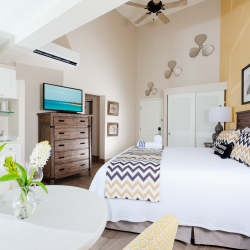 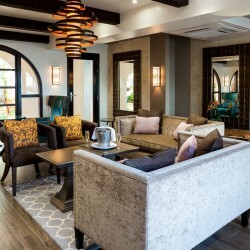 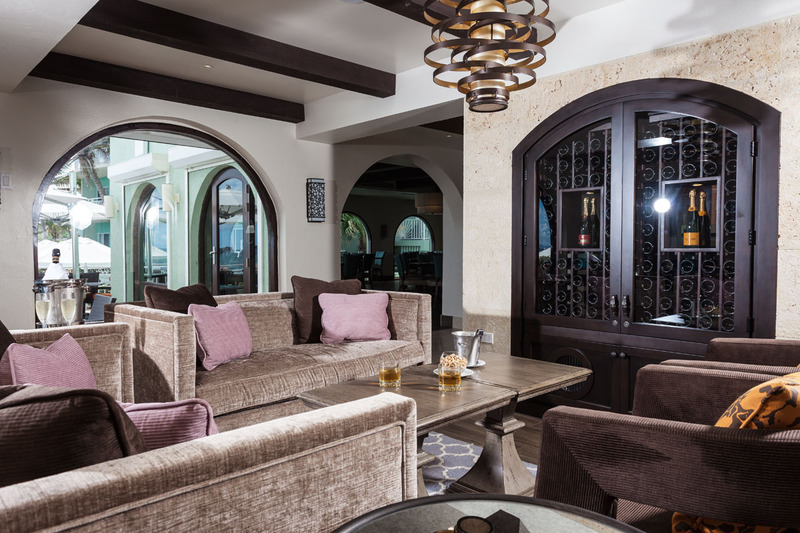 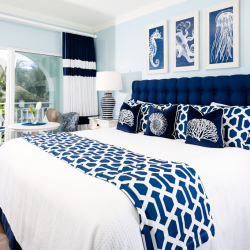 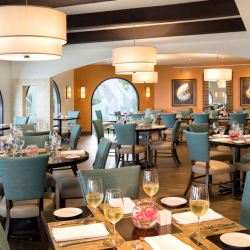 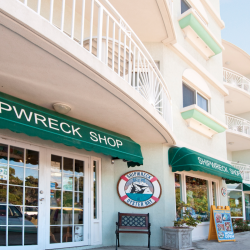 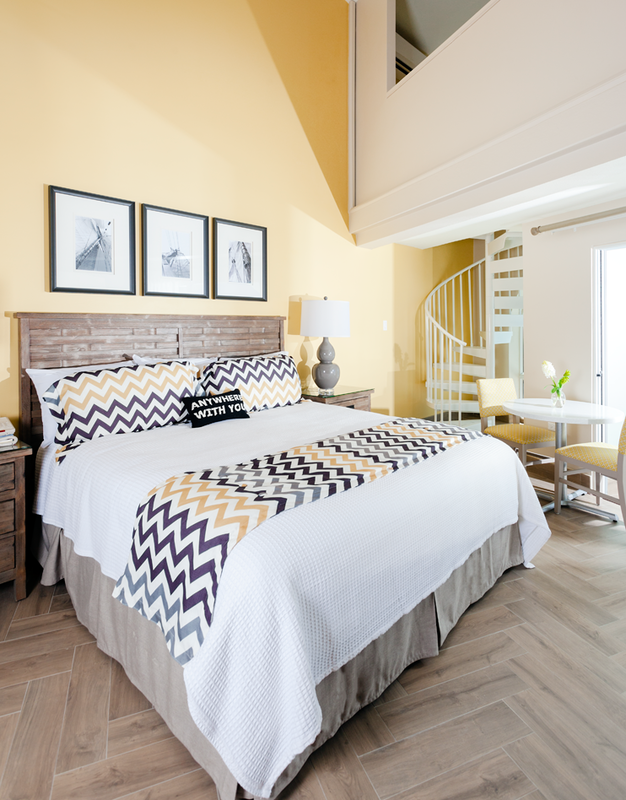 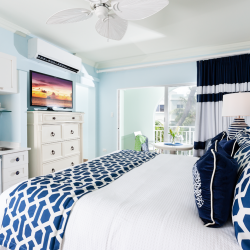 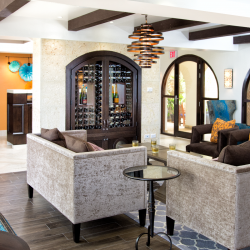 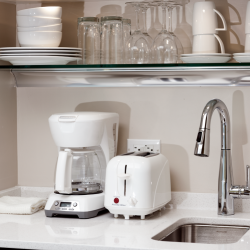 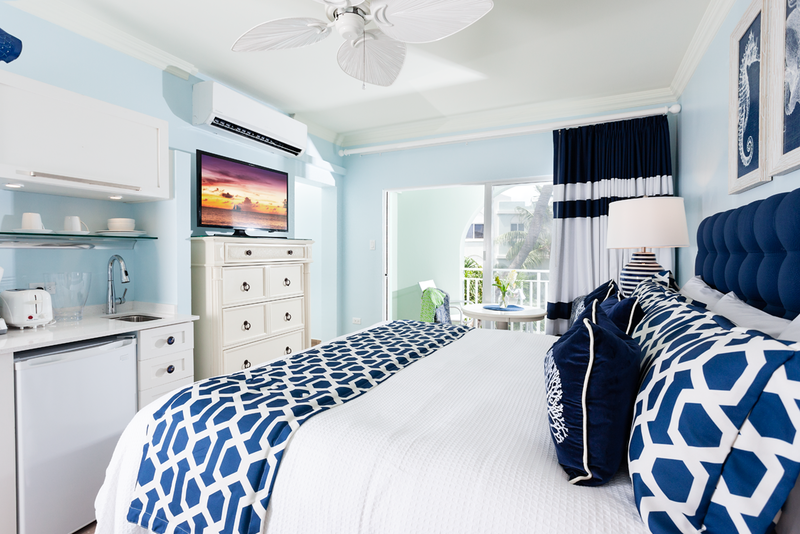 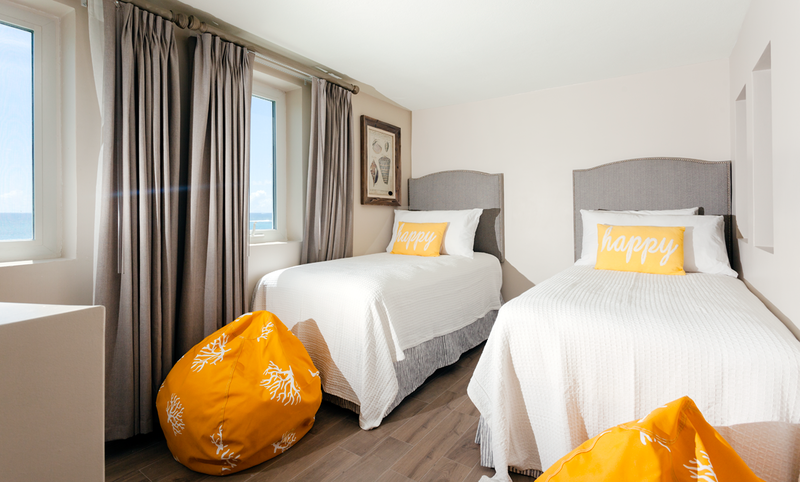 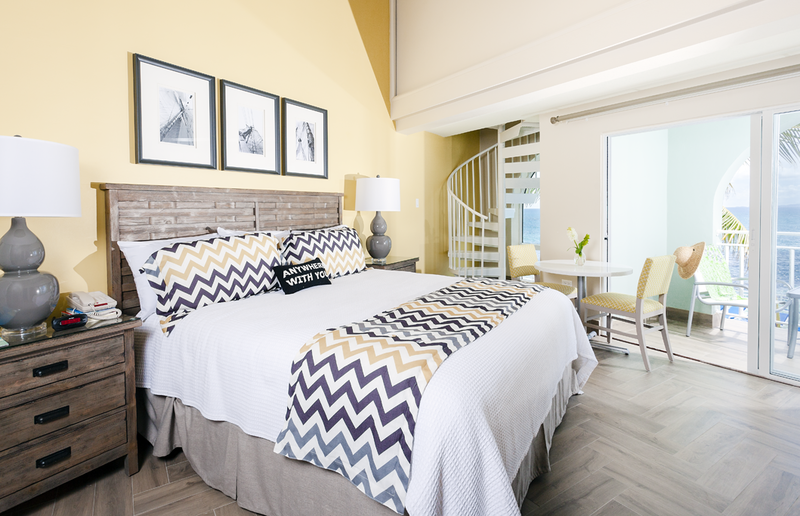 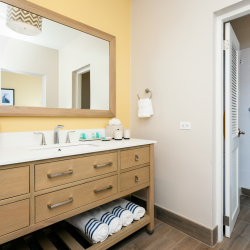 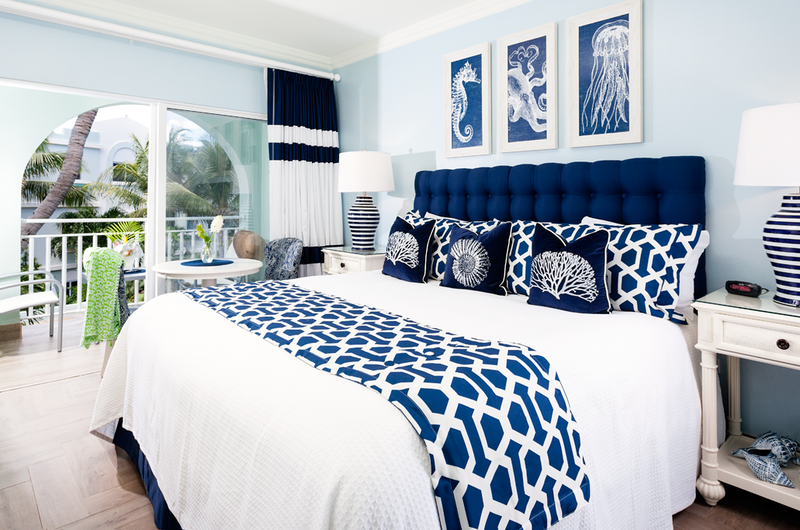 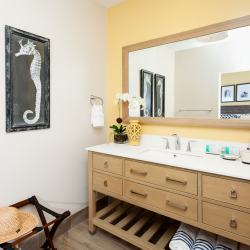 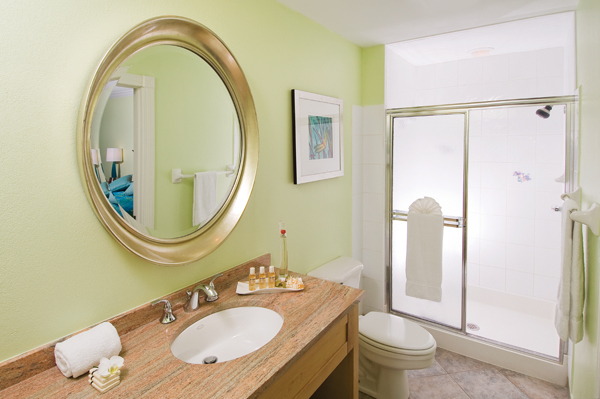 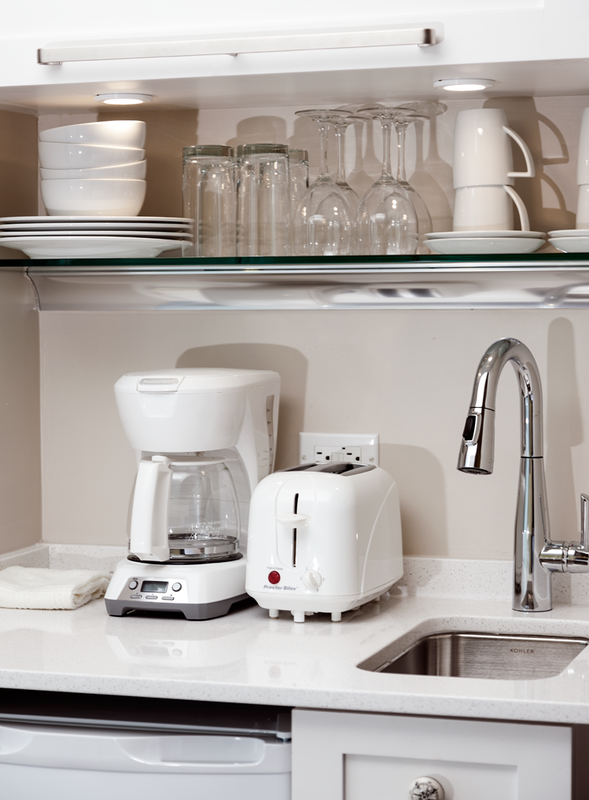 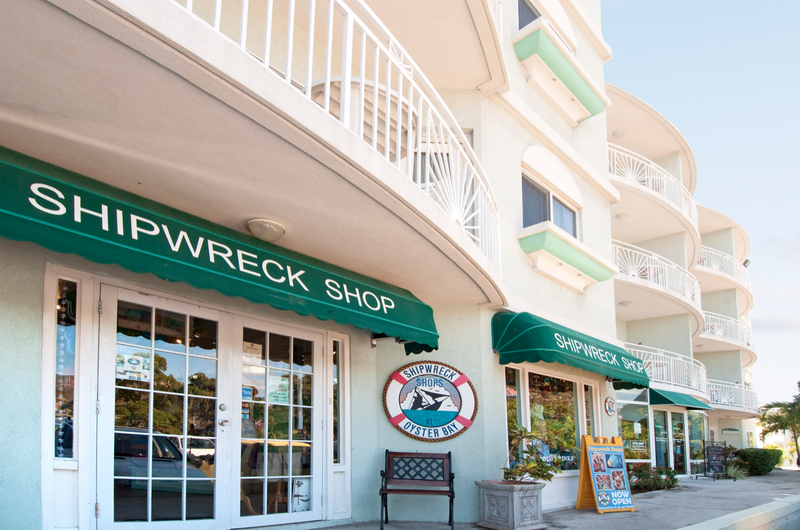 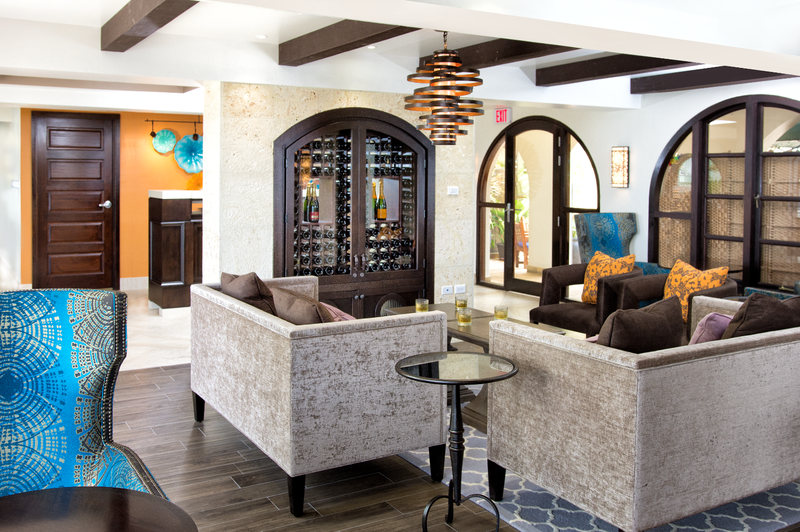 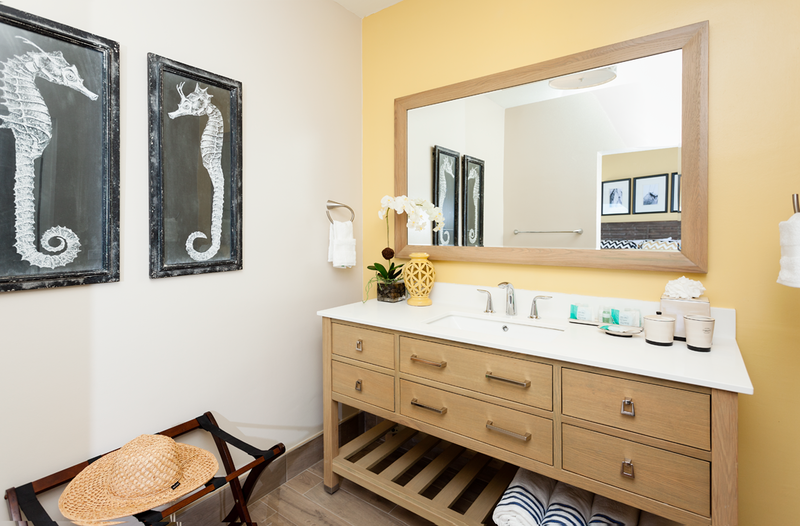 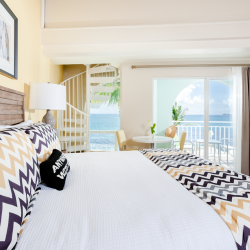 The rooms feature new furnishings, fixtures, artwork, bedding, soft goods, lamps, HD TVs and Wi-Fi, as well as new kitchen and bathroom cabinets, fine travertine marble countertops and new kitchenware packages and appliances. 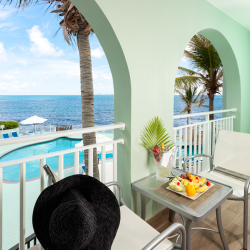 If you’re looking for a place where time stands still, where you can always hear the lapping ocean waves, and where the horizon goes on forever, then this is it. 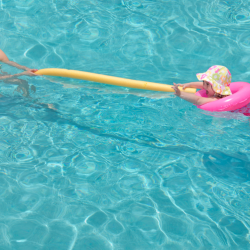 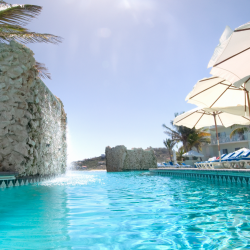 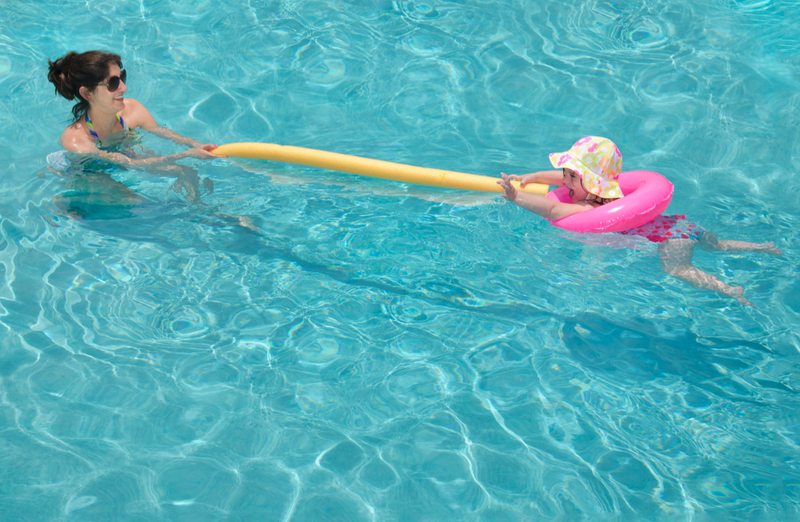 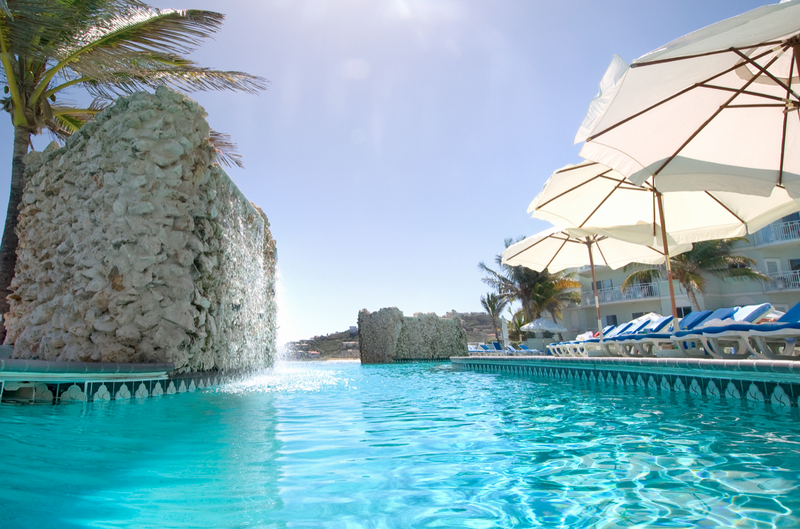 The Infinity Pool’s infinity edge transitions majestically into the ocean. 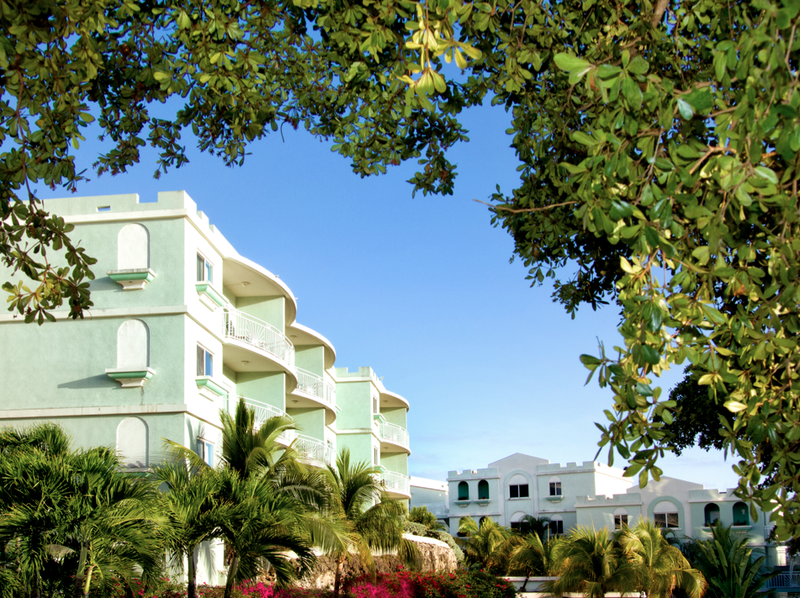 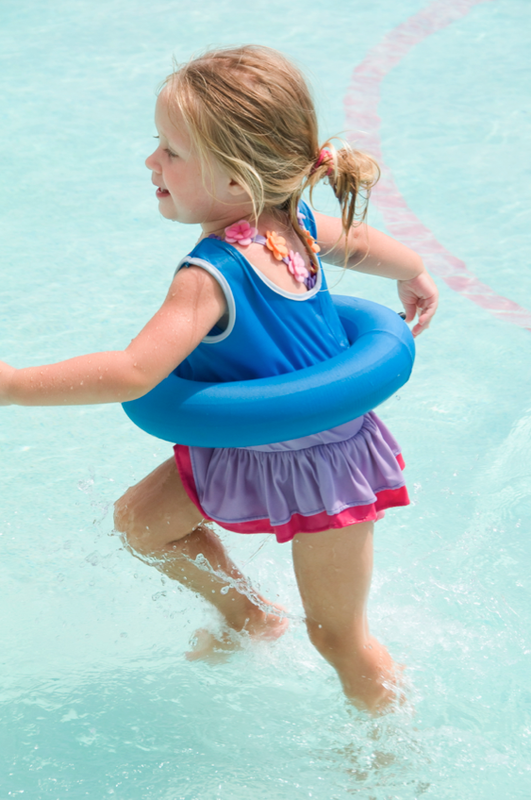 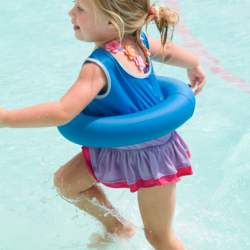 There’s a reason this is the most photographed location on the property. 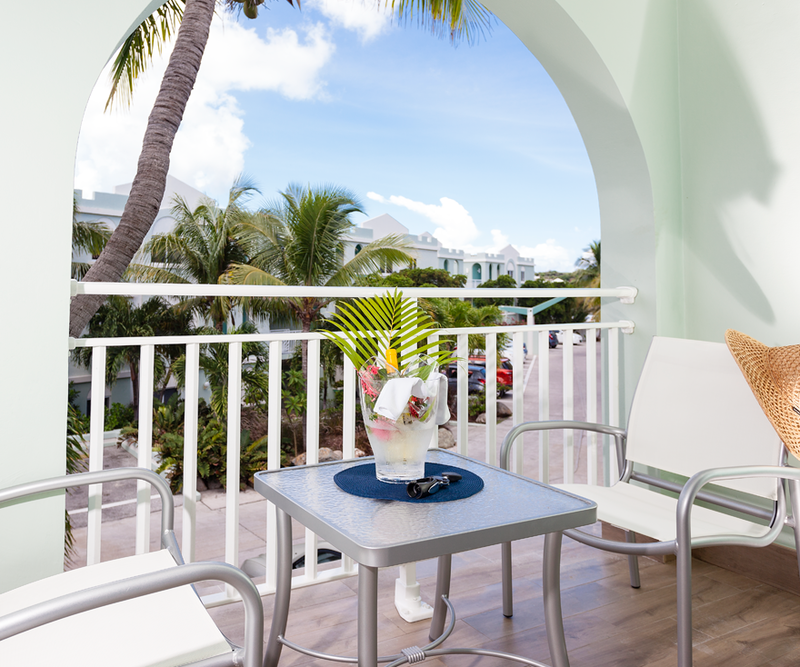 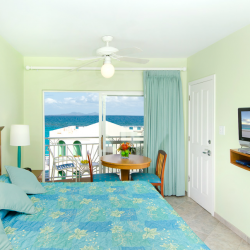 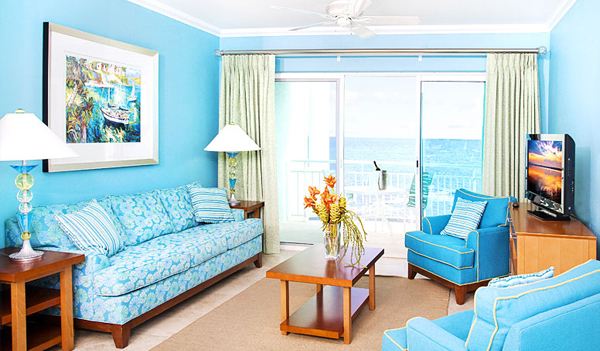 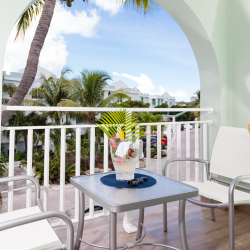 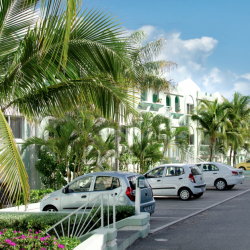 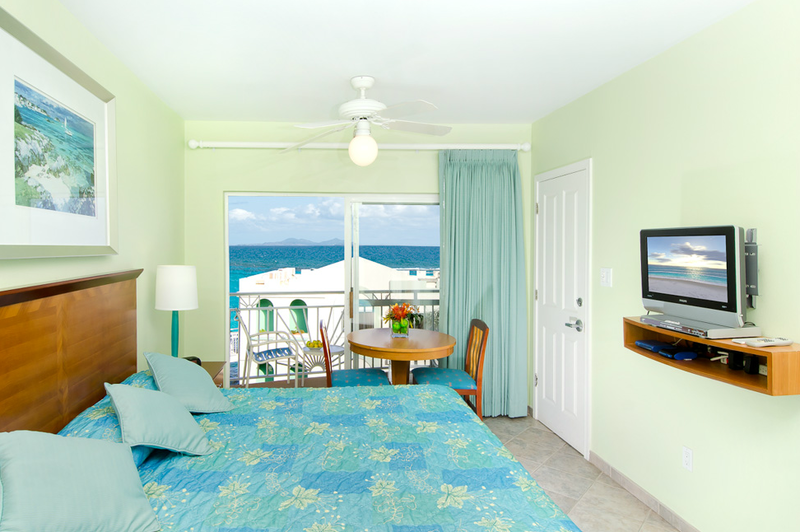 Located on Dawn Beach, Oyster Bay Beach Resort put this pristine, white-sand oasis right at your doorstep — and many more beaches within an easy drive or short taxi ride. 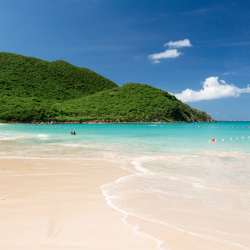 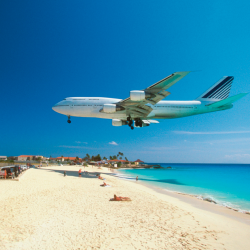 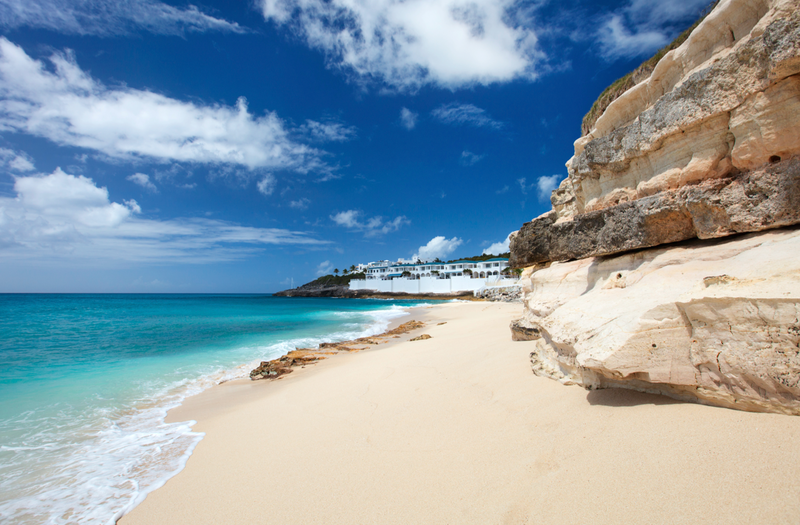 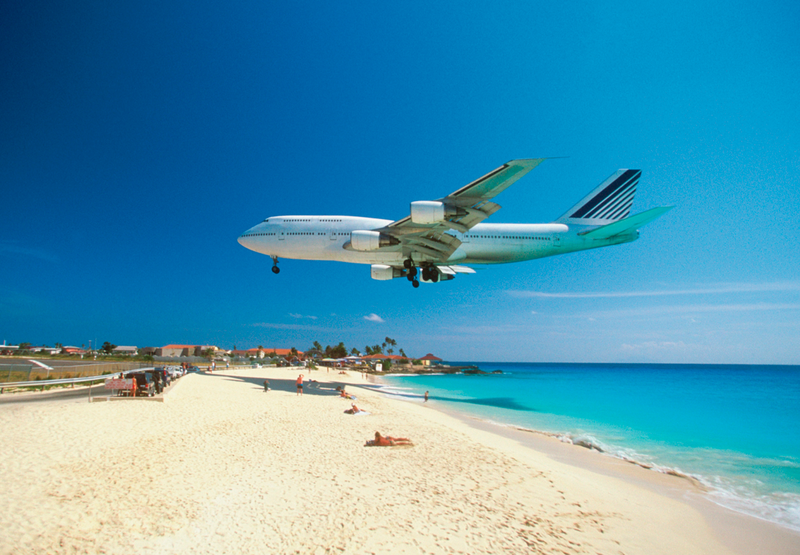 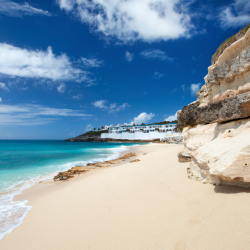 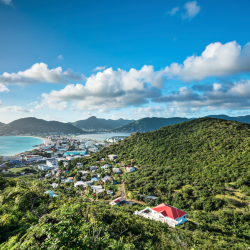 This stunning, 37-square-mile, dual-nationality island is located in the Caribbean just east of the Virgin Islands and just south of Anguilla. 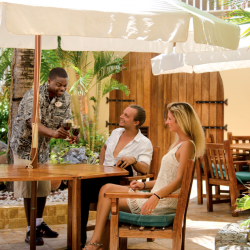 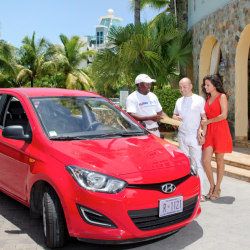 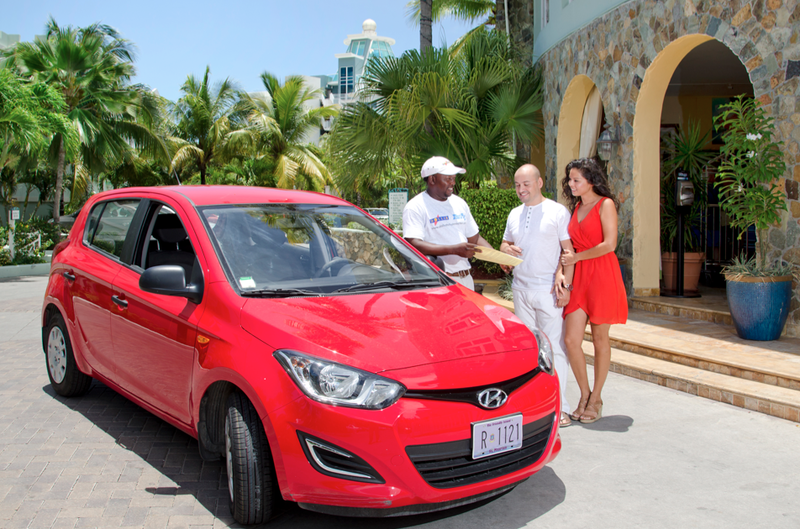 With an average temperature of 85ºF / 29.4ºC, 37 secluded white-sand beaches, more than 400 restaurants, and nearly 200 nationalities living peacefully together on the island — it’s a destination determined to fulfill your every dream. 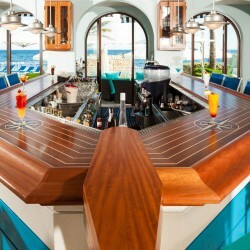 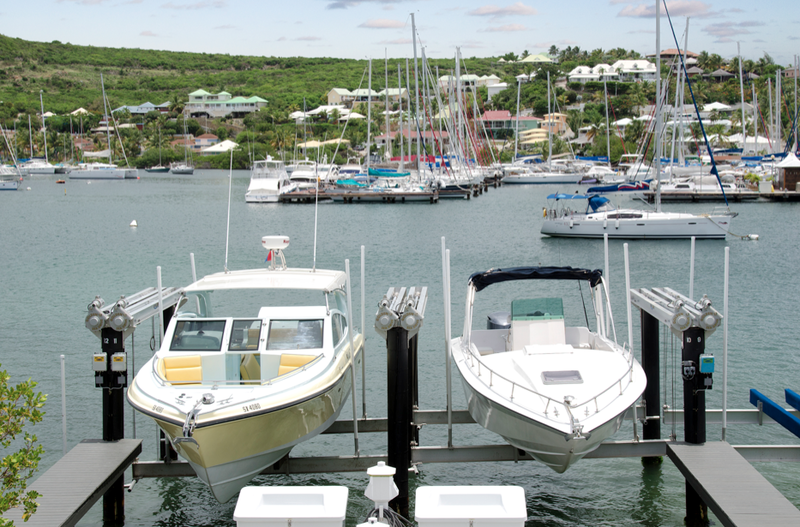 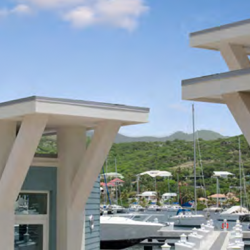 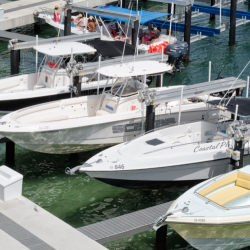 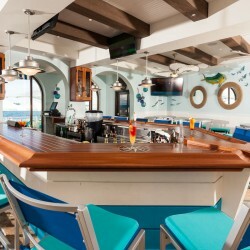 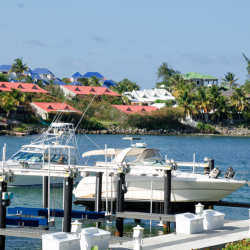 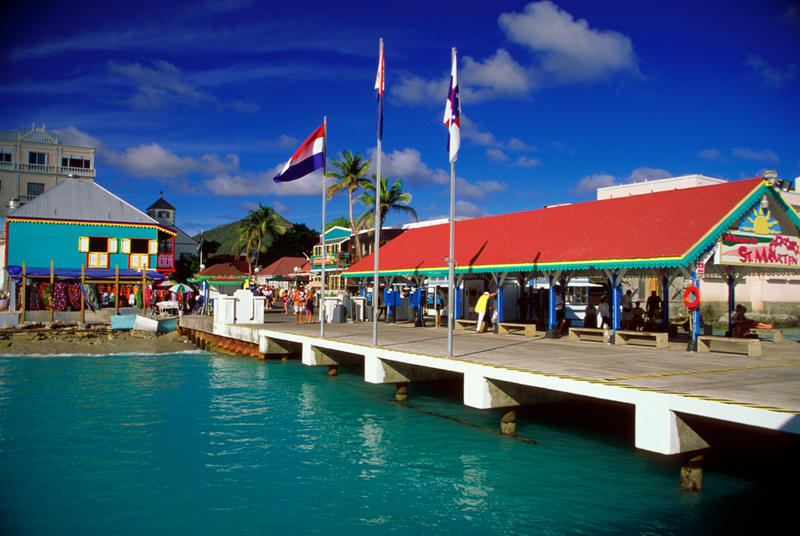 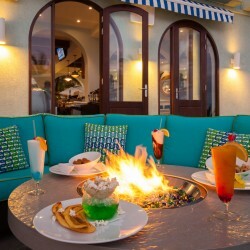 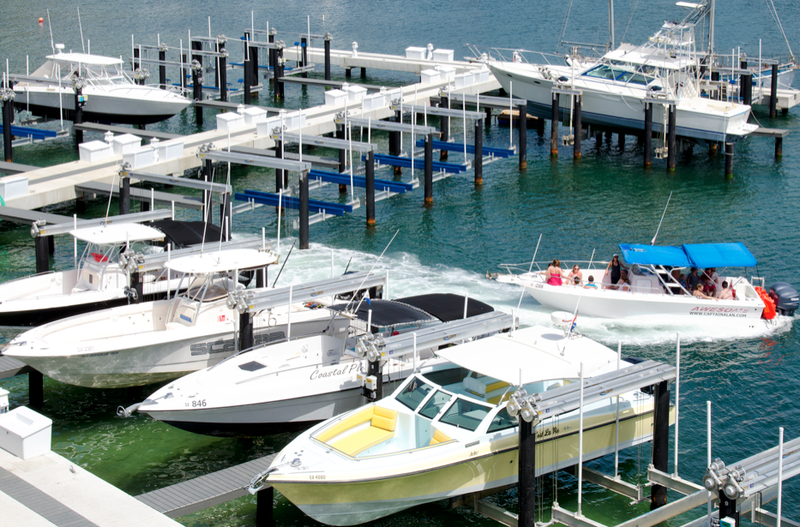 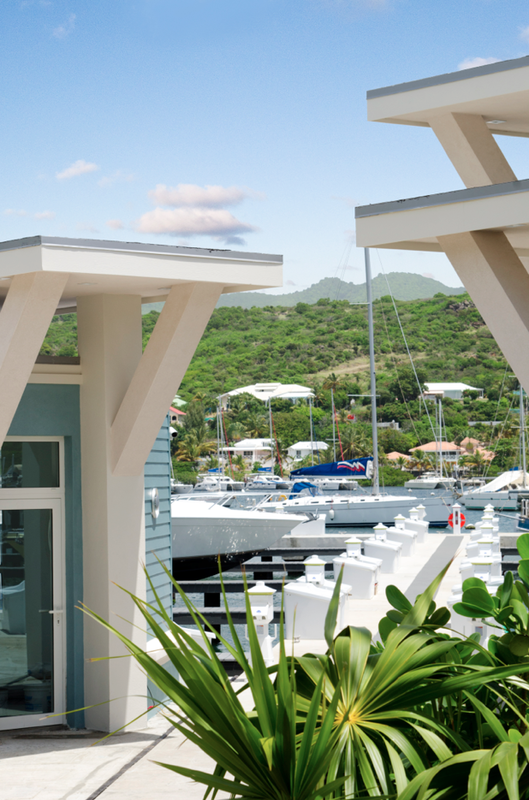 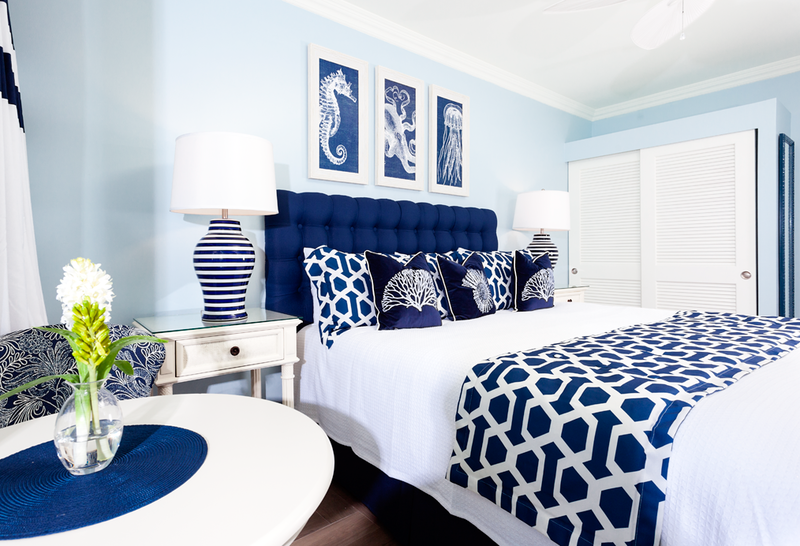 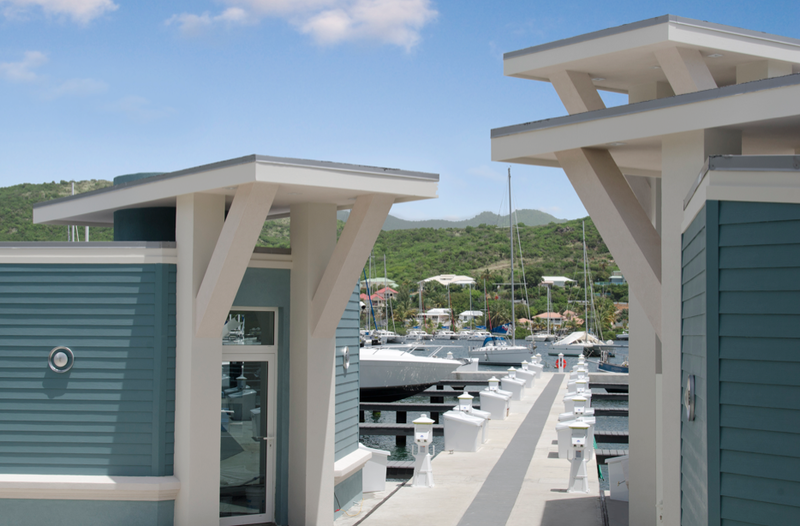 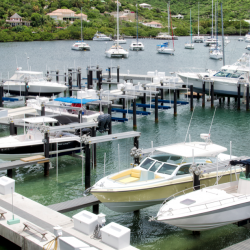 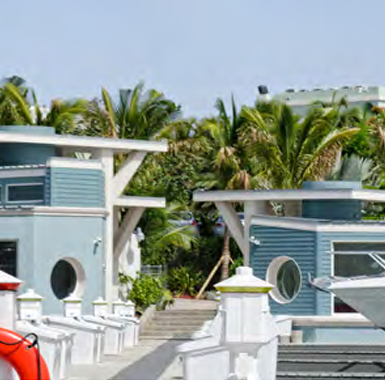 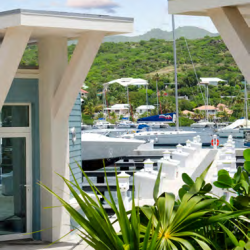 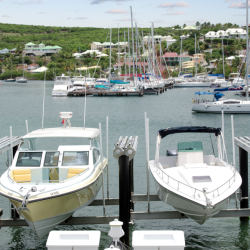 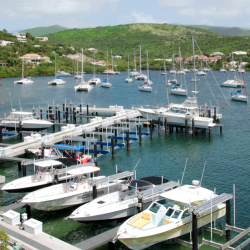 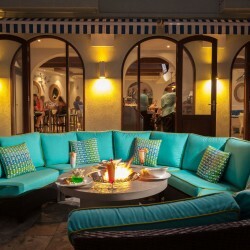 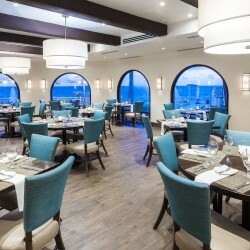 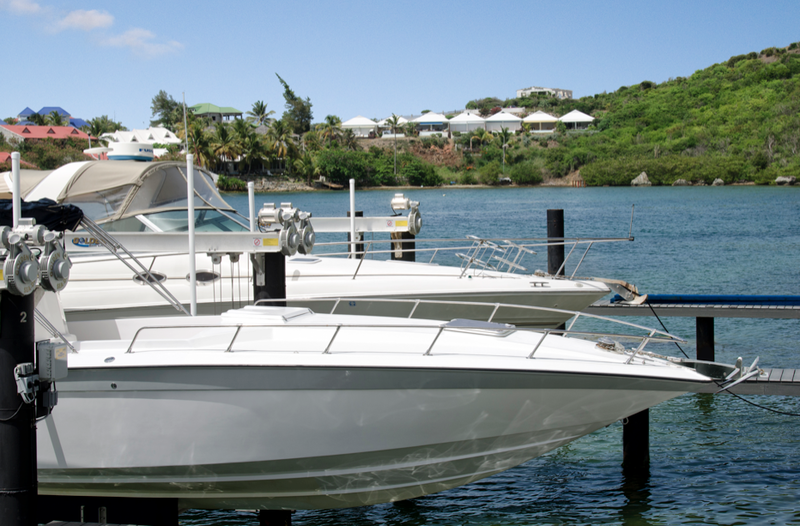 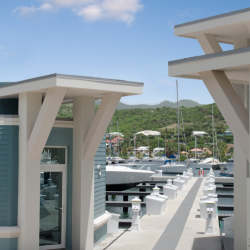 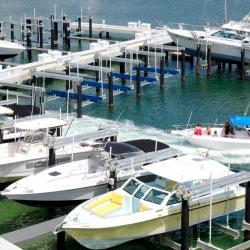 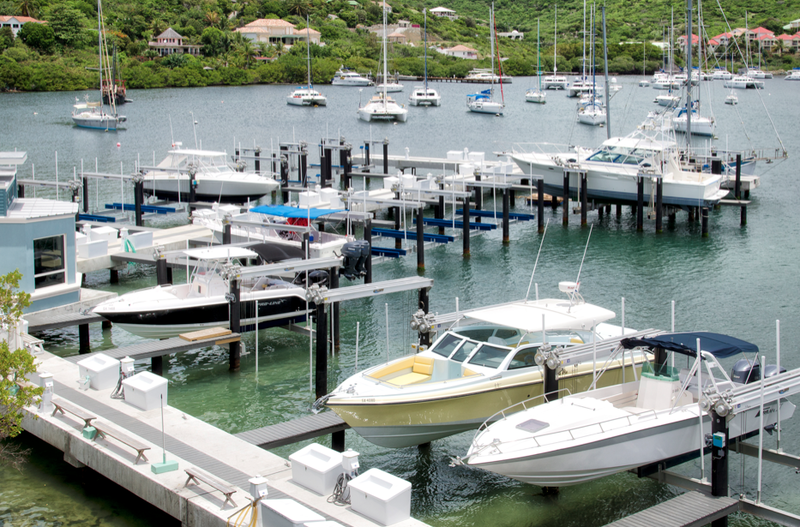 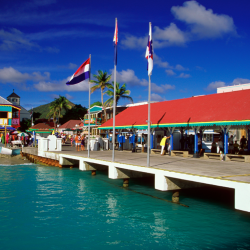 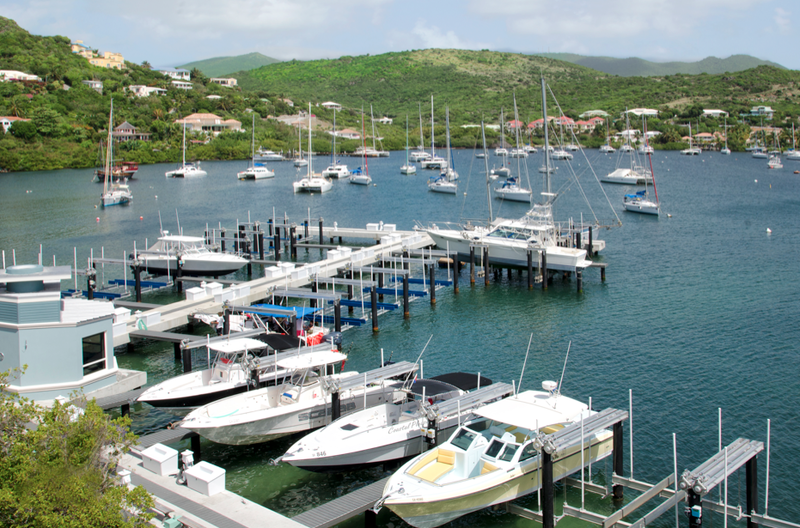 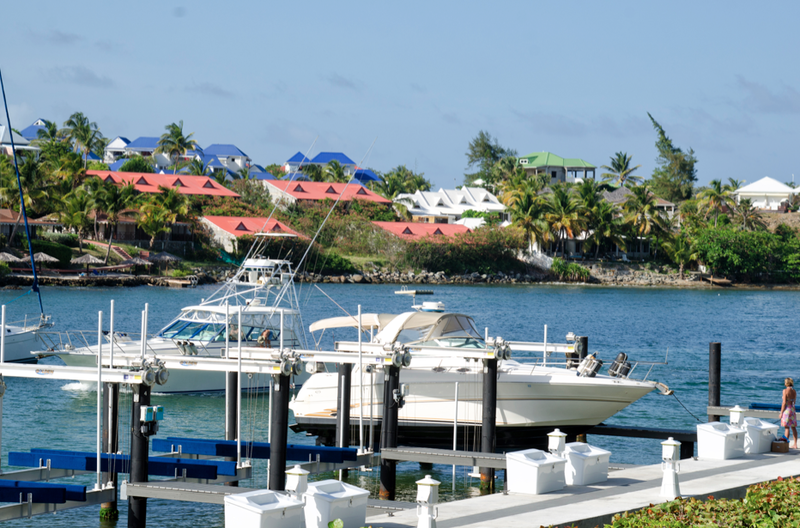 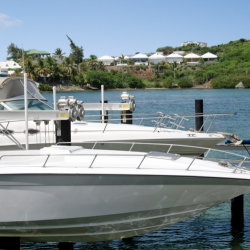 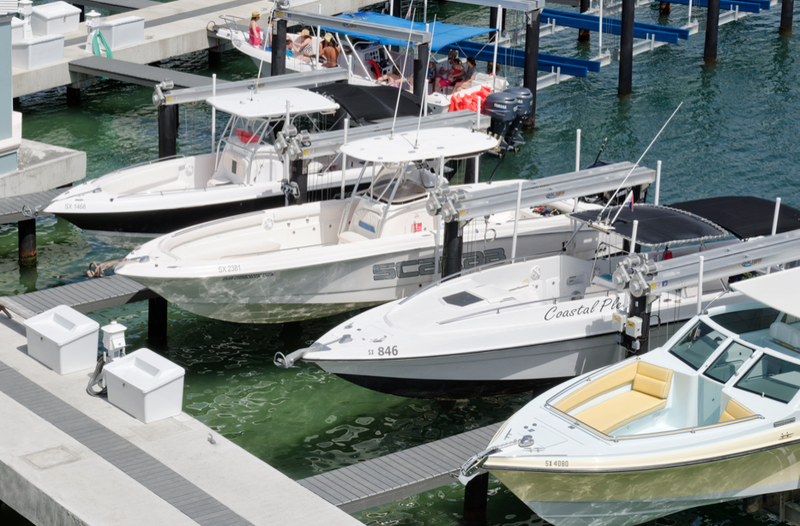 Oyster Bay Beach Resort is delighted to announce the completion of the Oyster Bay Marina. 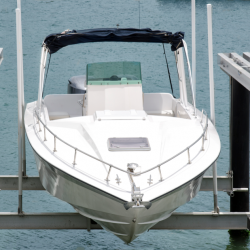 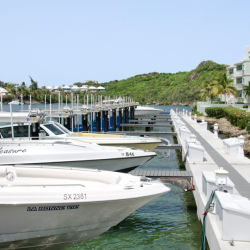 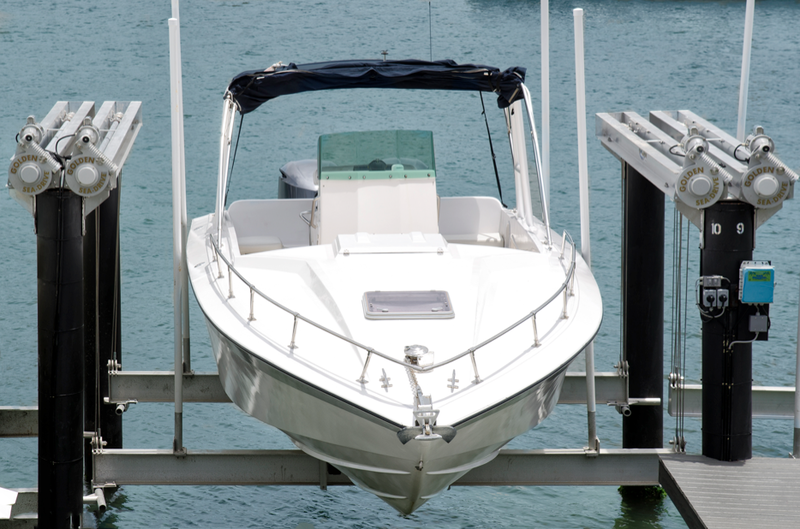 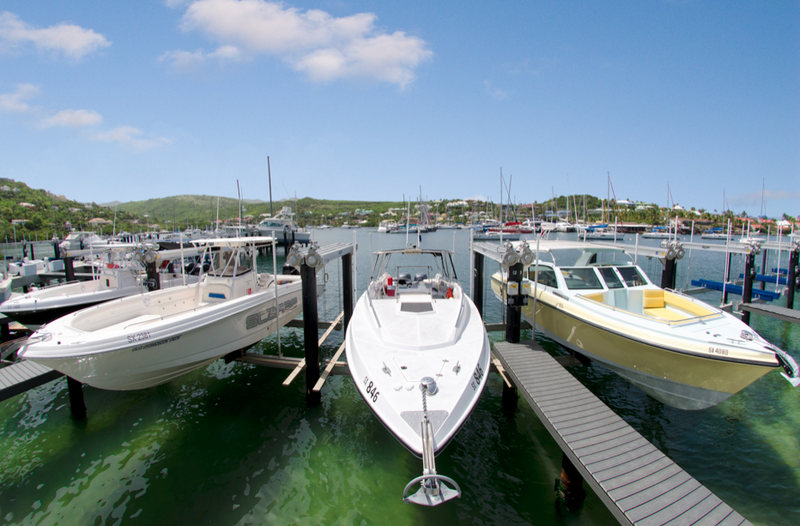 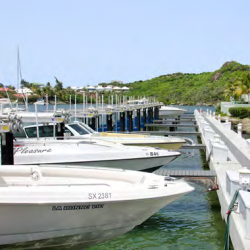 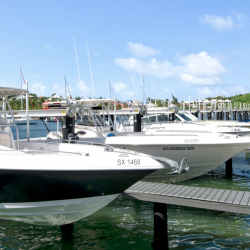 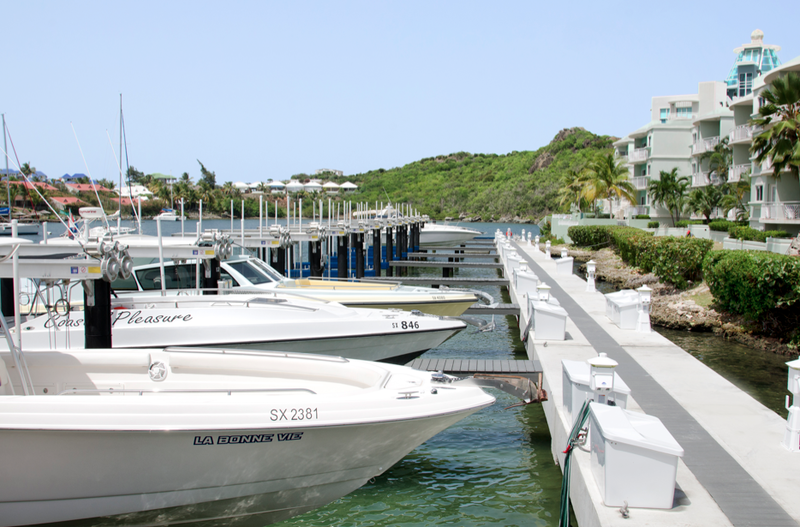 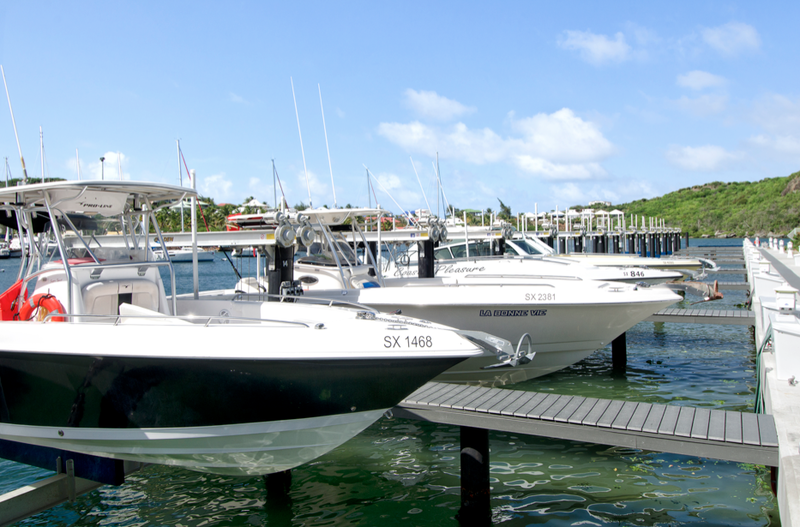 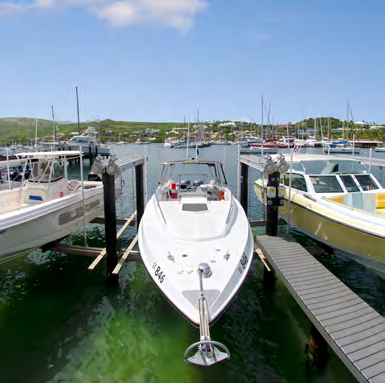 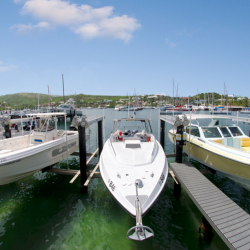 The slips, piers, boatlifts and the harbor master house are now ready to use. 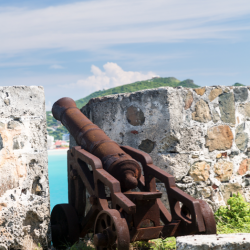 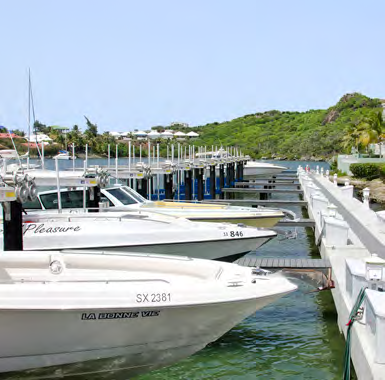 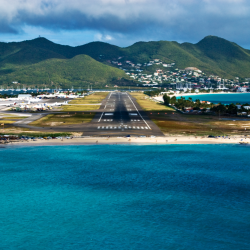 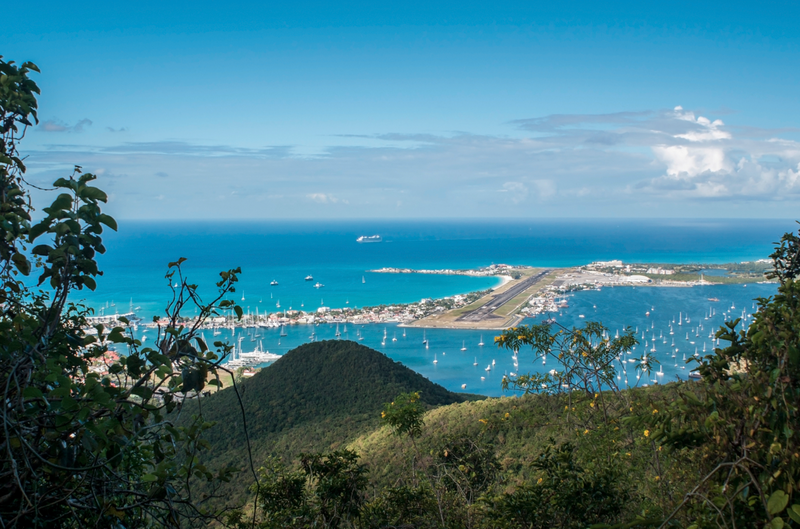 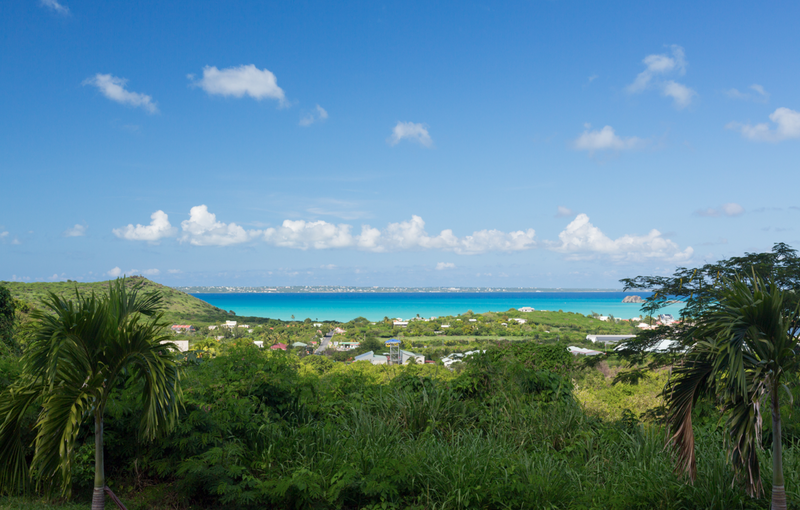 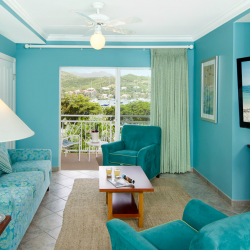 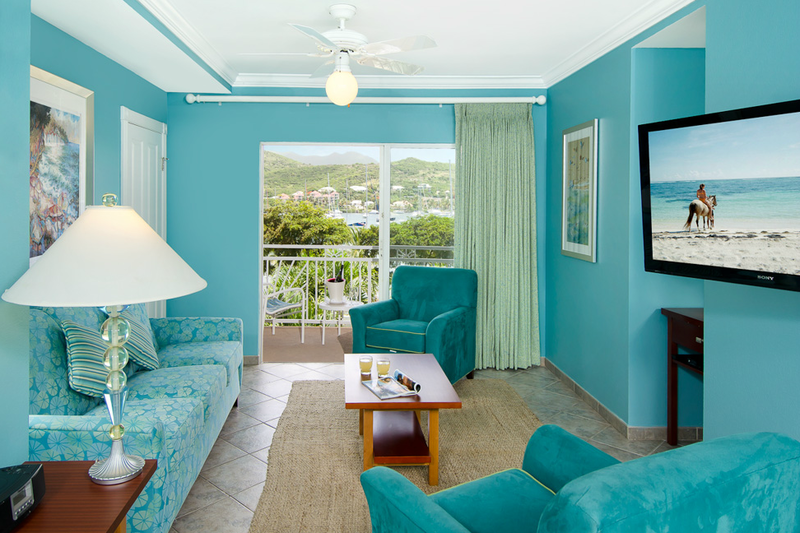 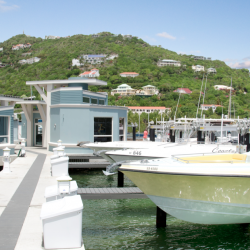 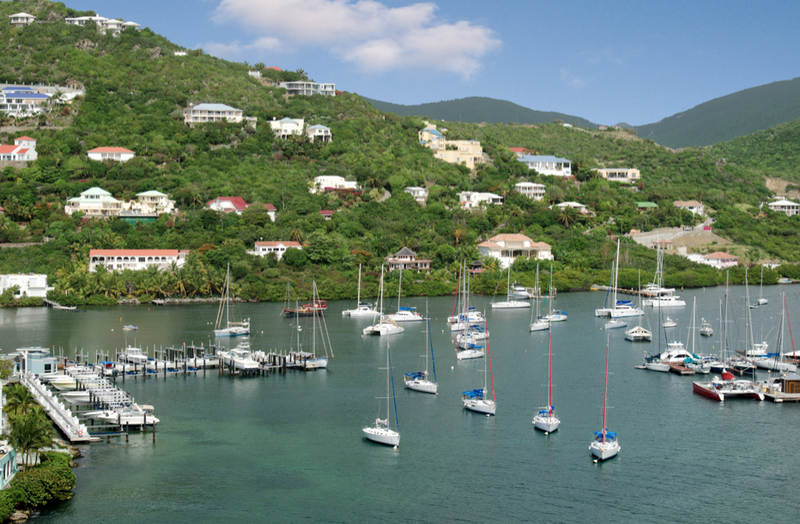 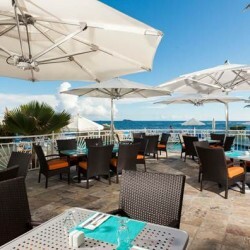 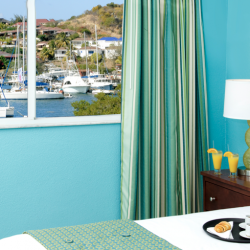 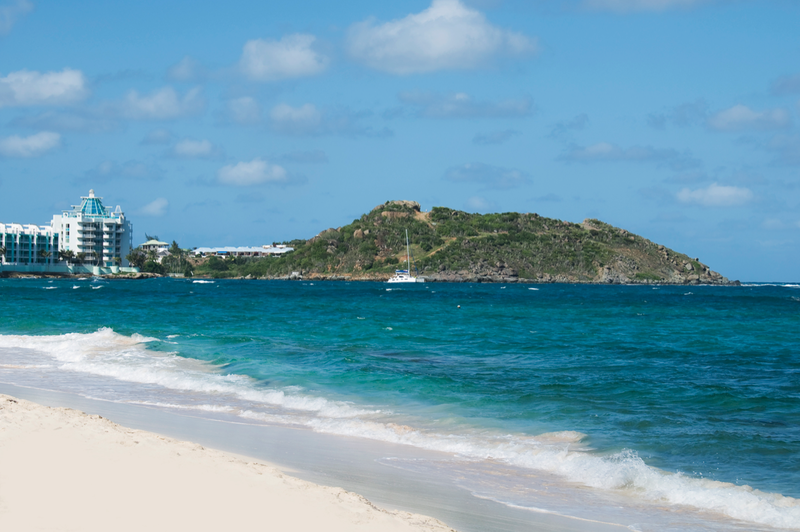 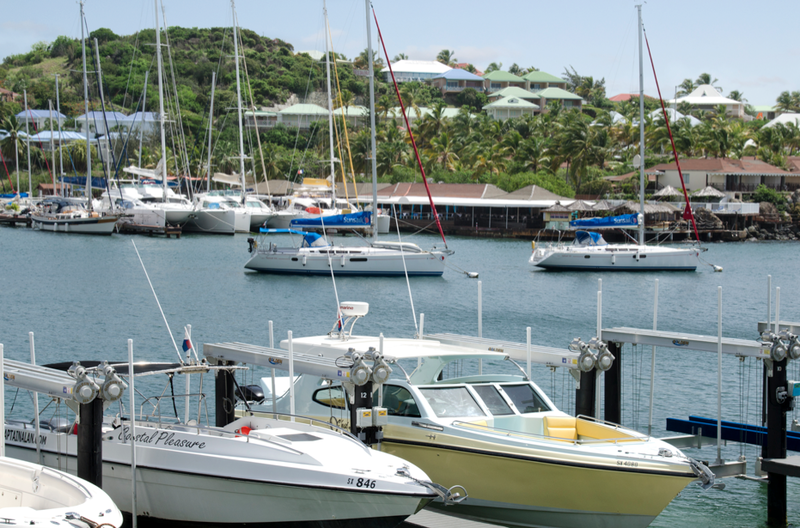 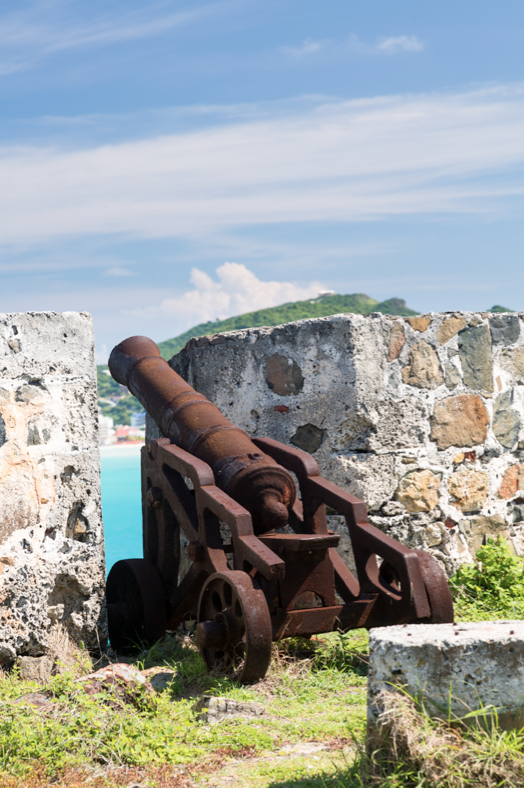 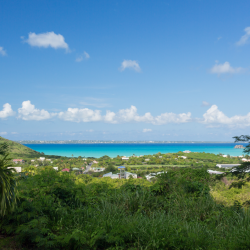 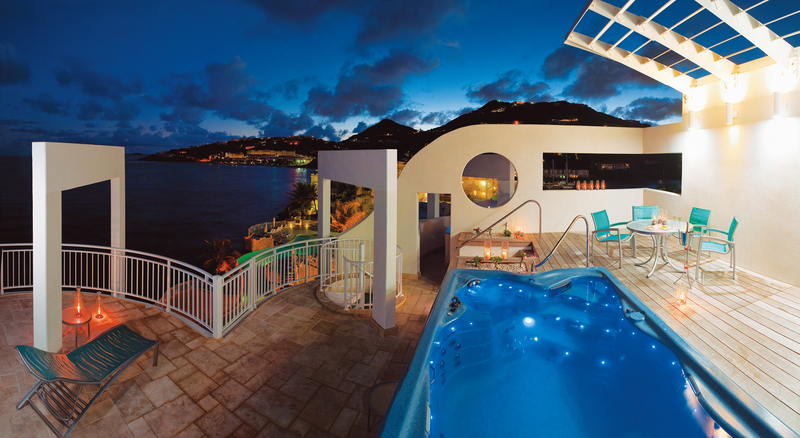 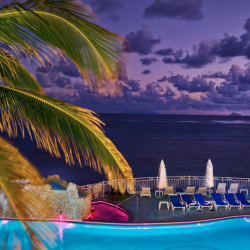 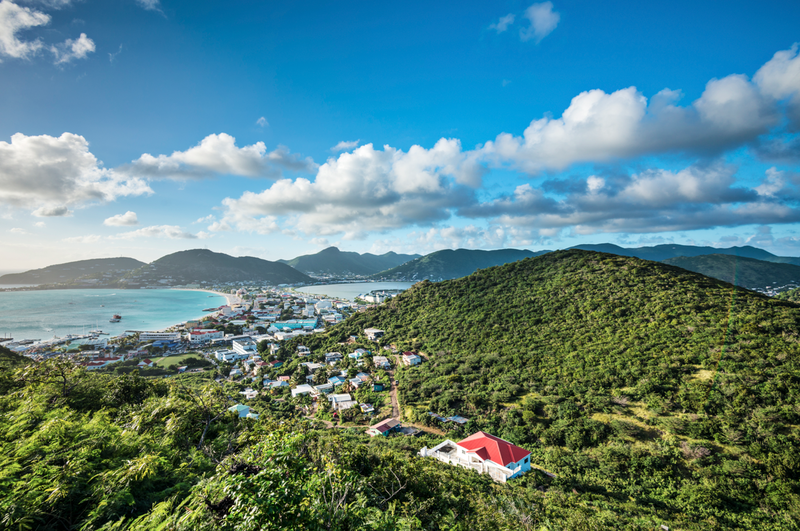 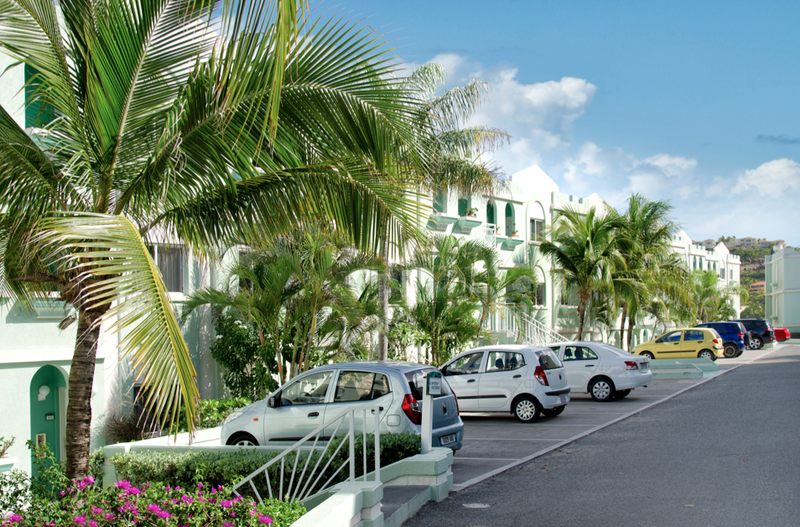 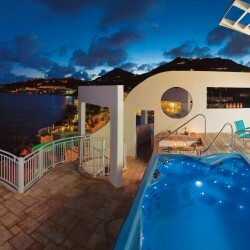 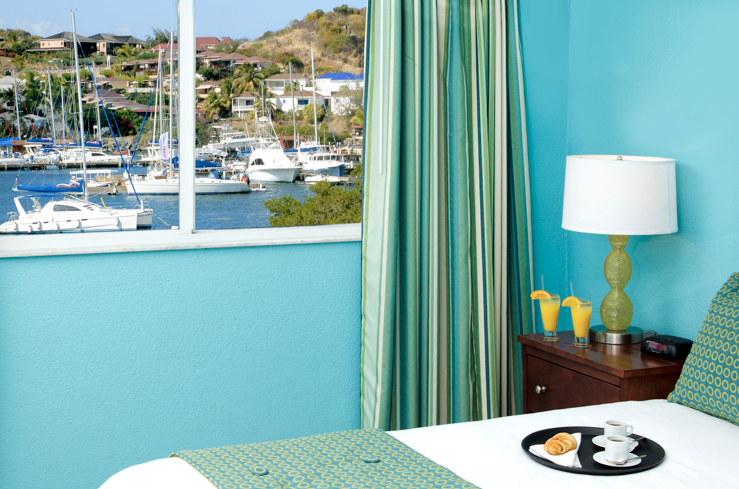 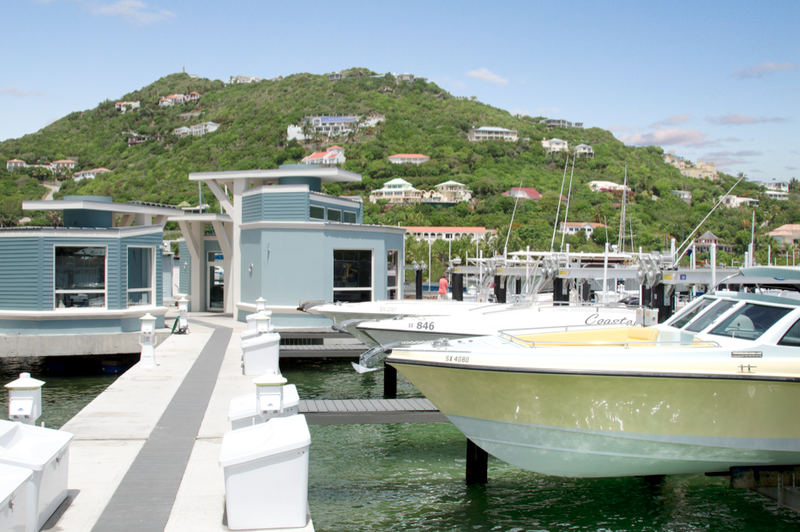 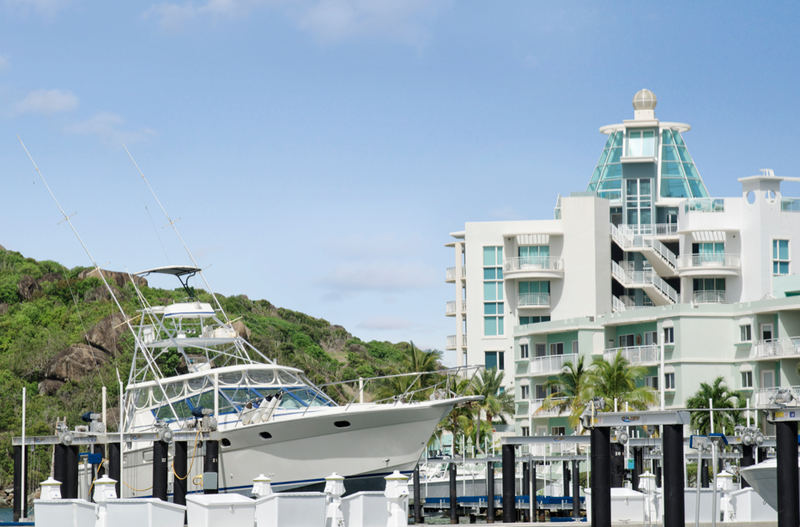 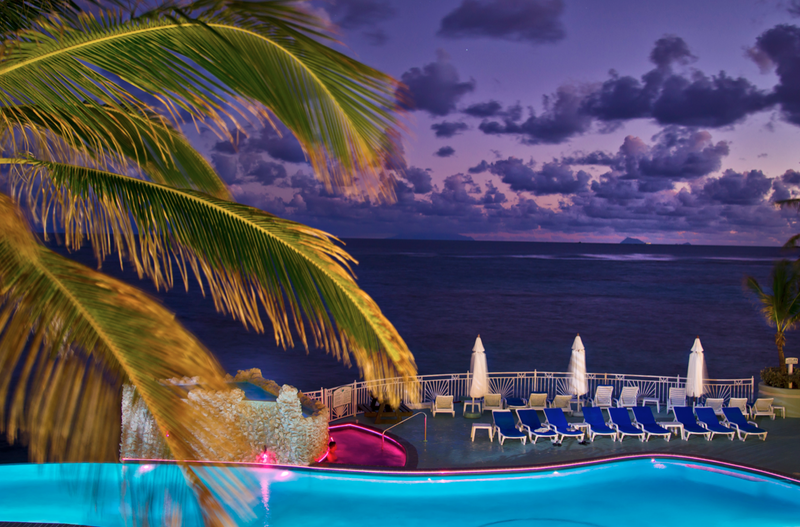 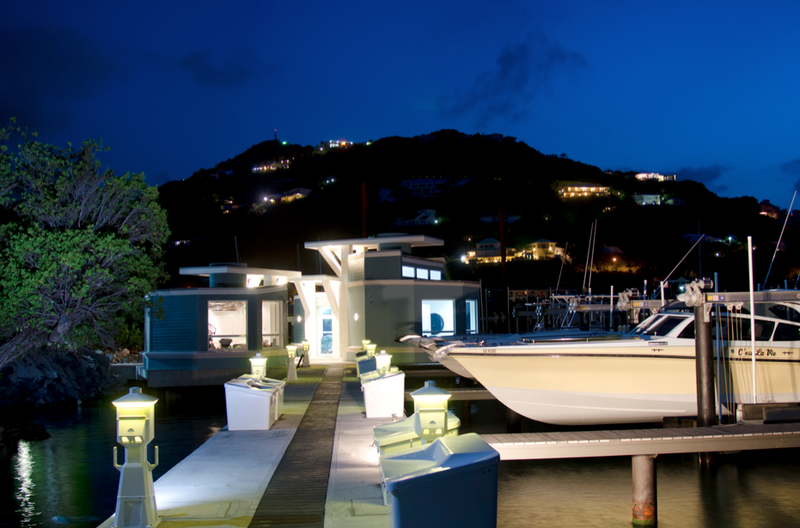 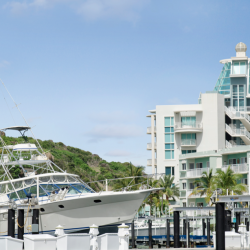 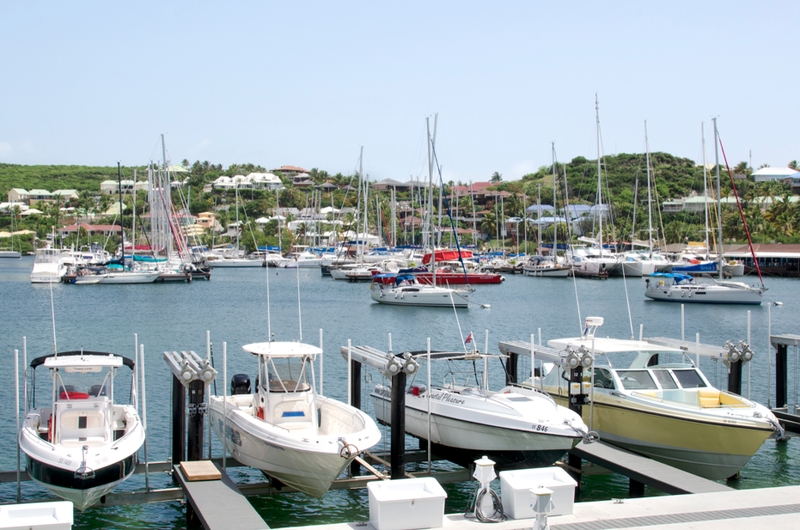 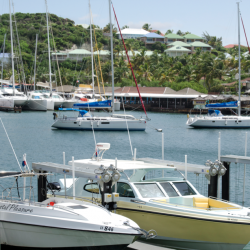 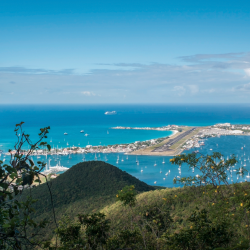 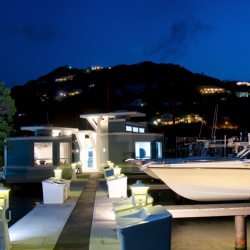 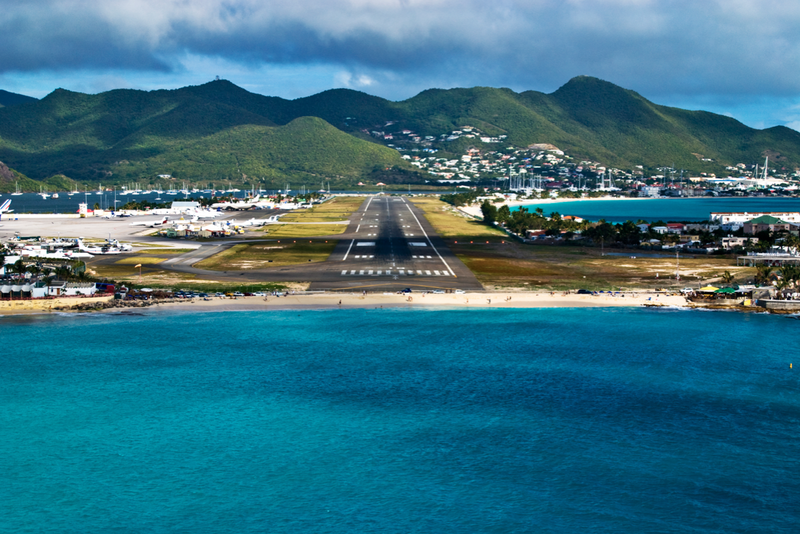 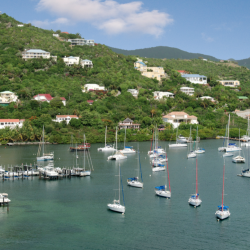 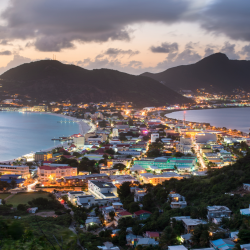 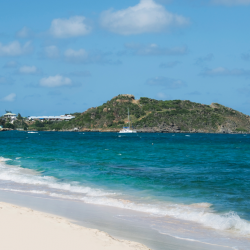 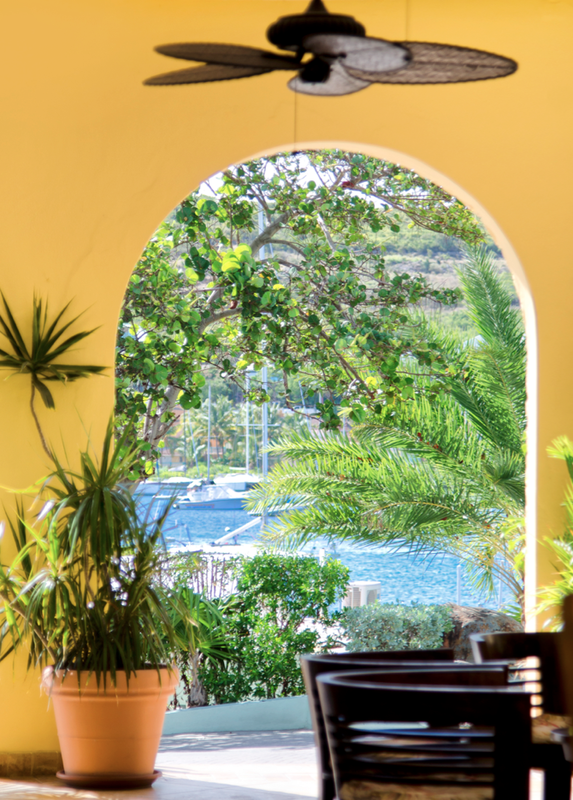 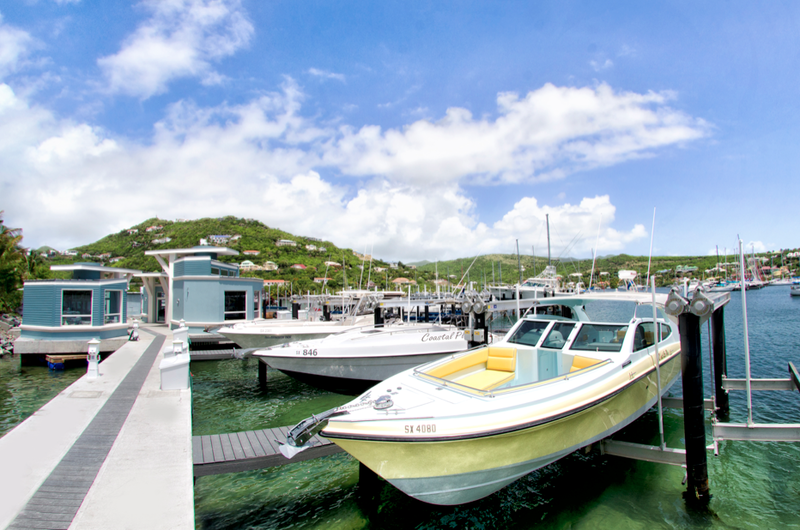 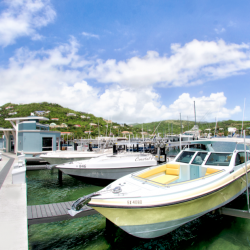 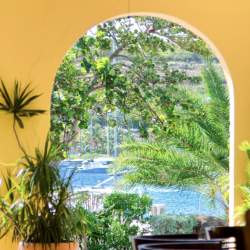 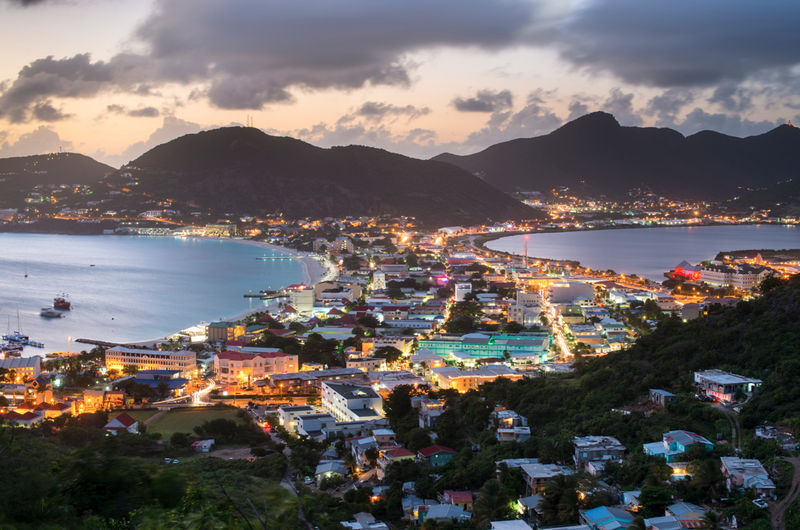 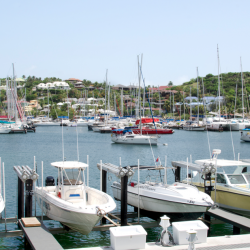 The views of St Barts, the marina and the mansions on the hills above Dawn Beach are nothing short of spectacular.